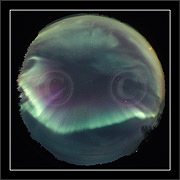 X17 !! 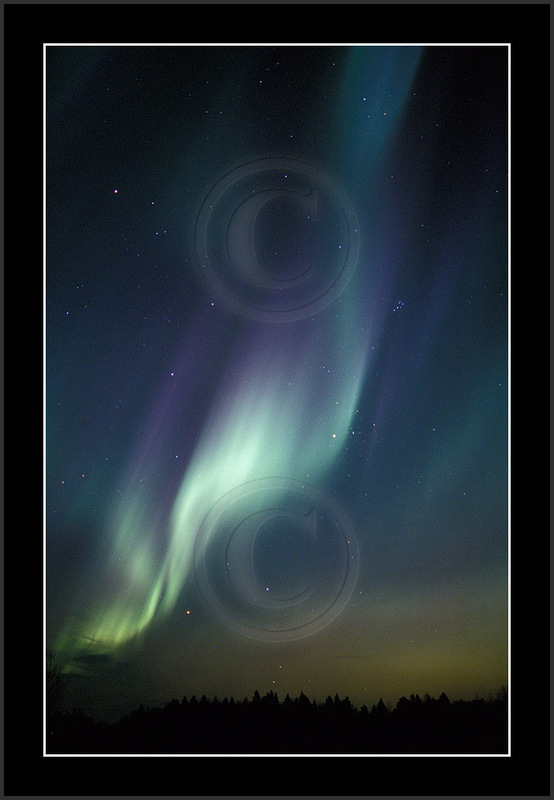 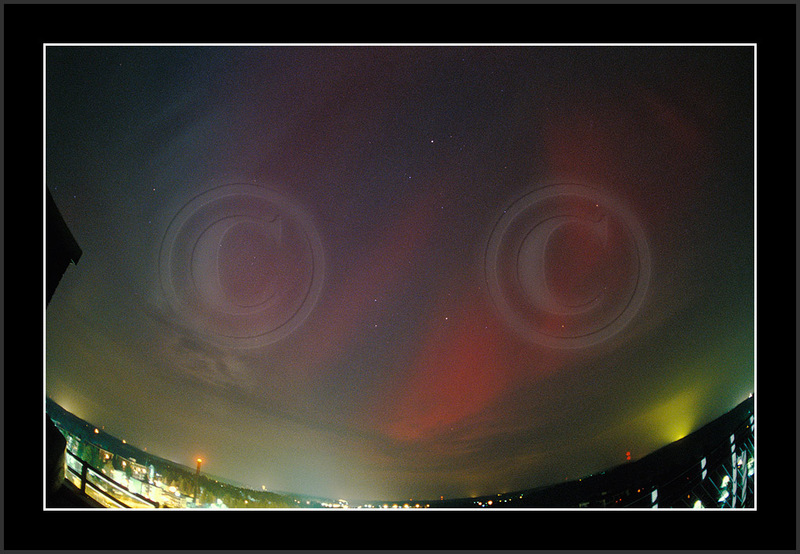 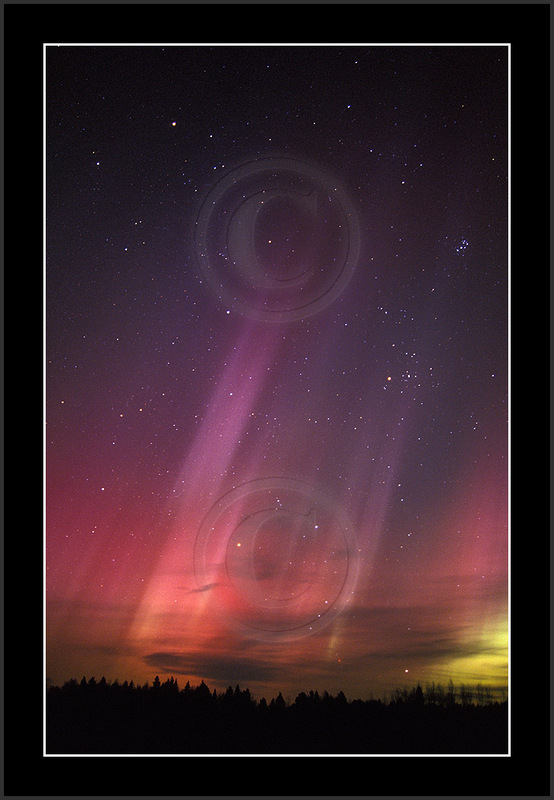 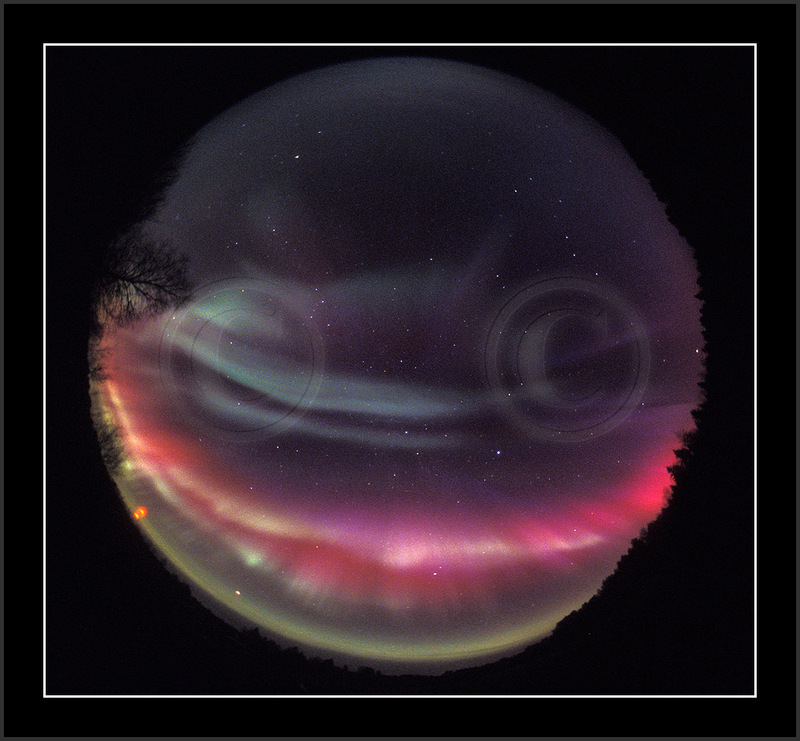 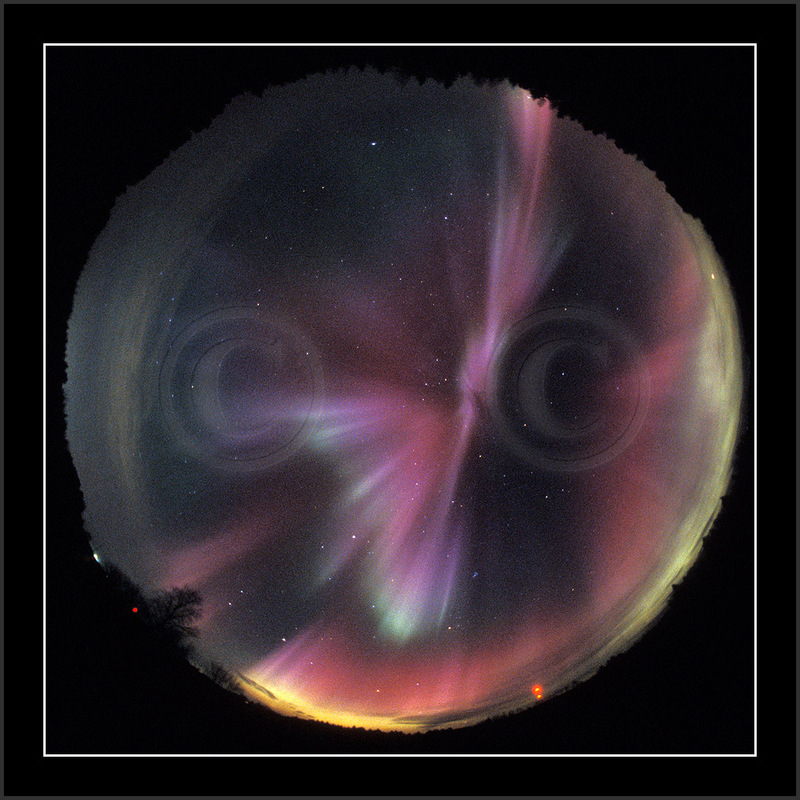 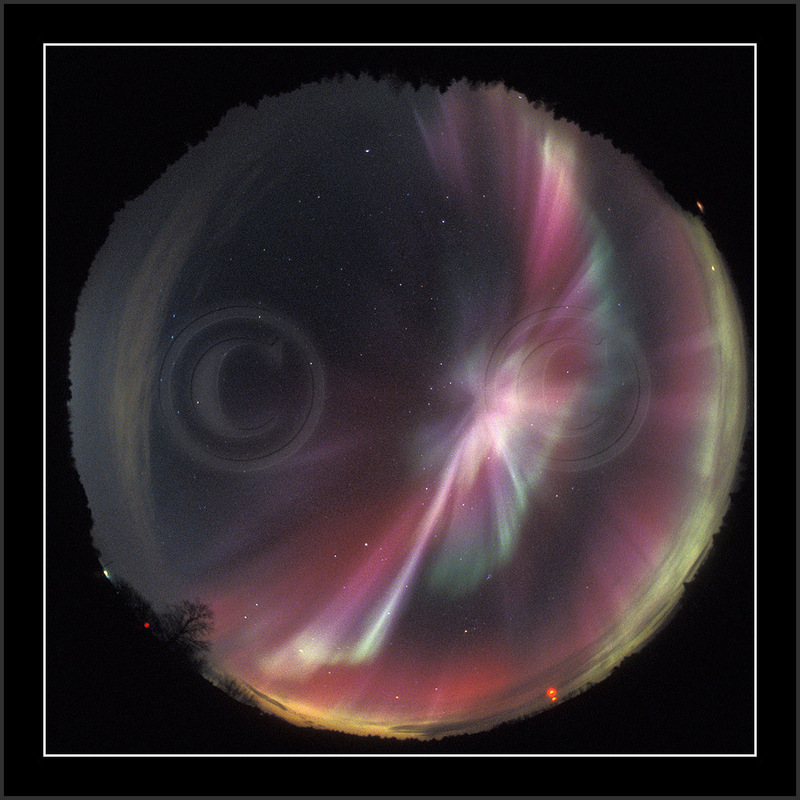 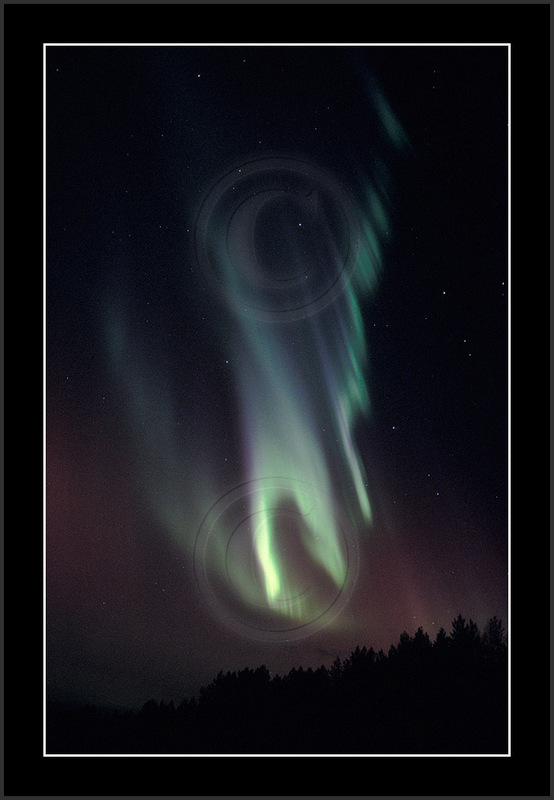 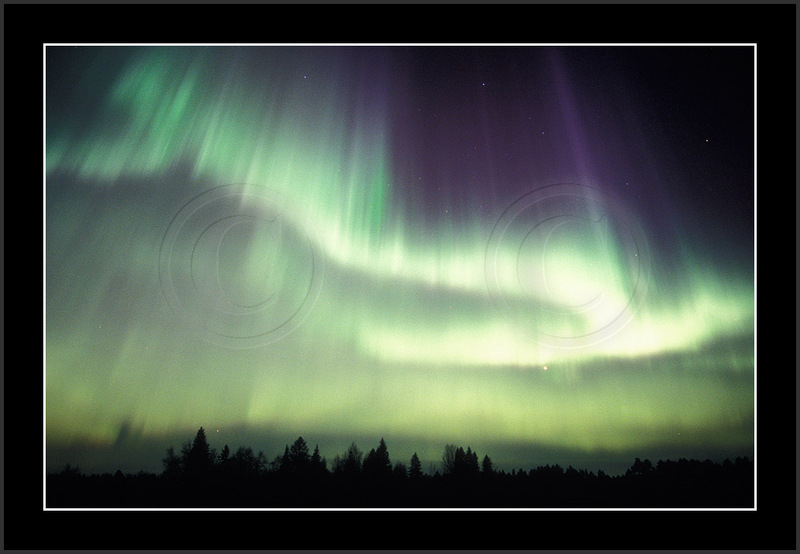 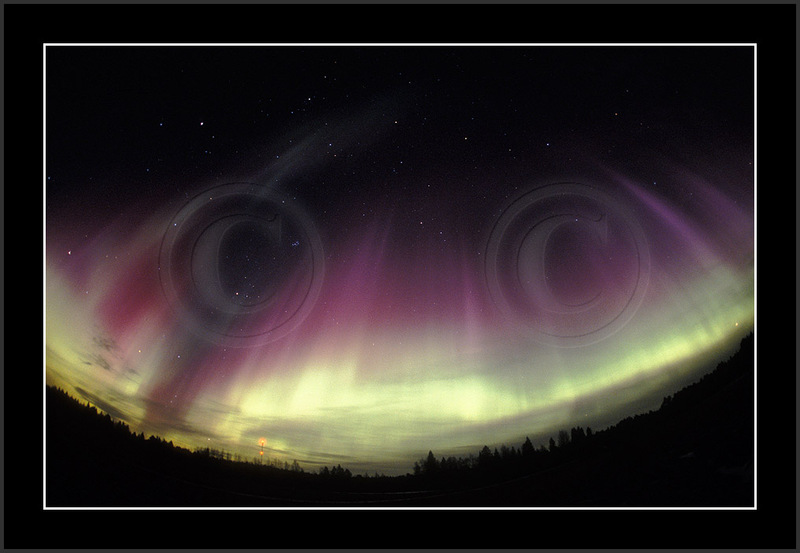 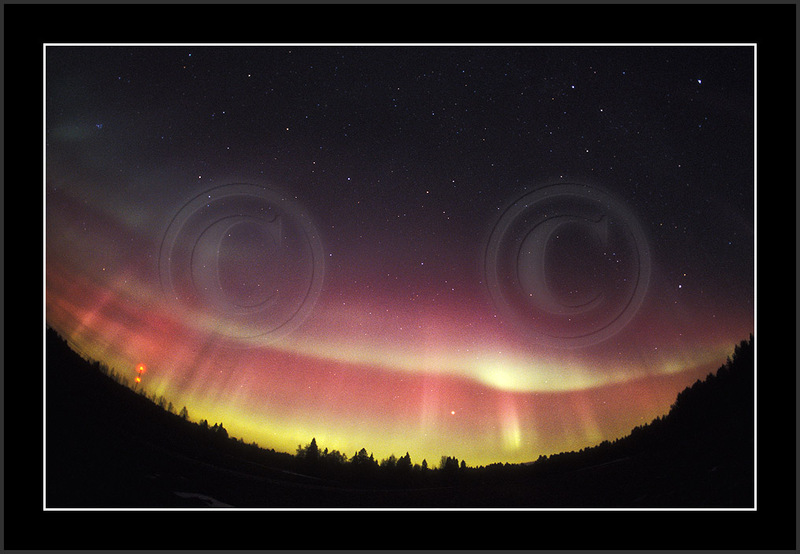 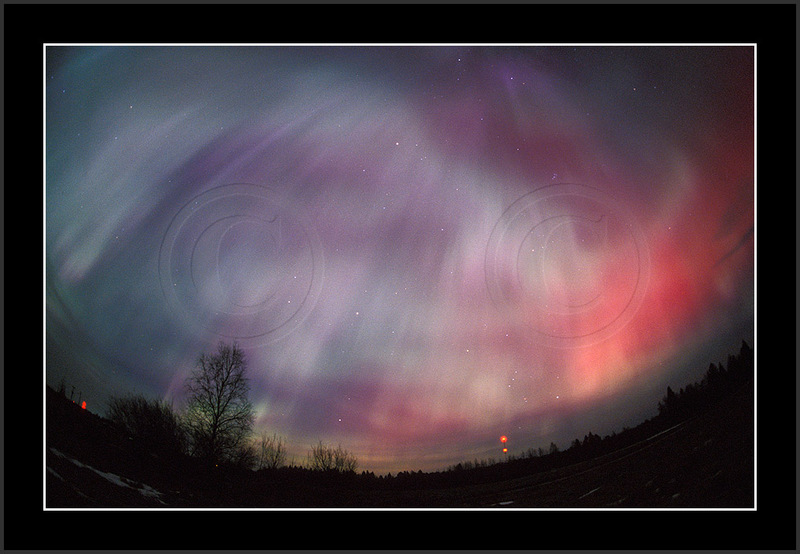 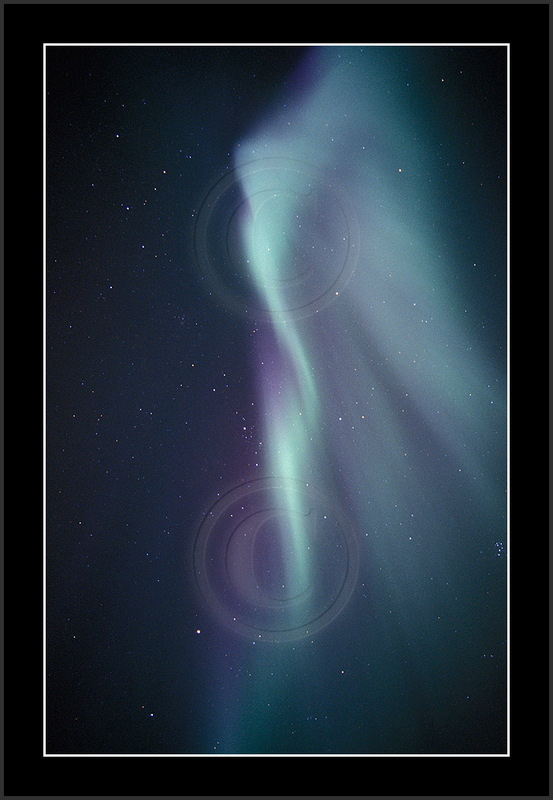 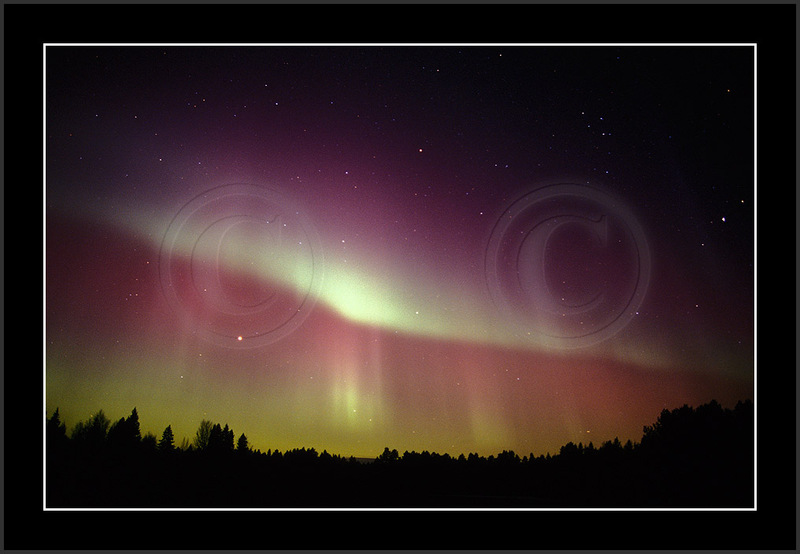 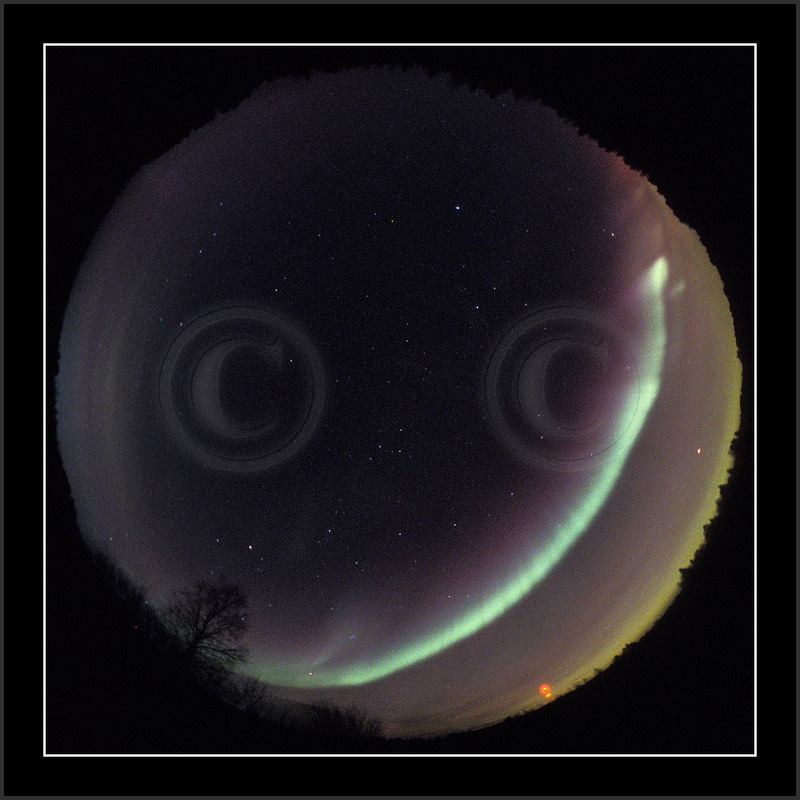 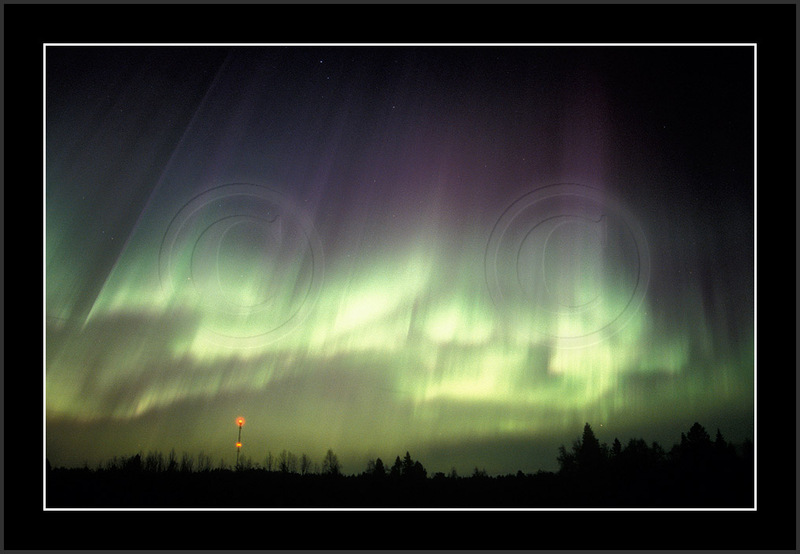 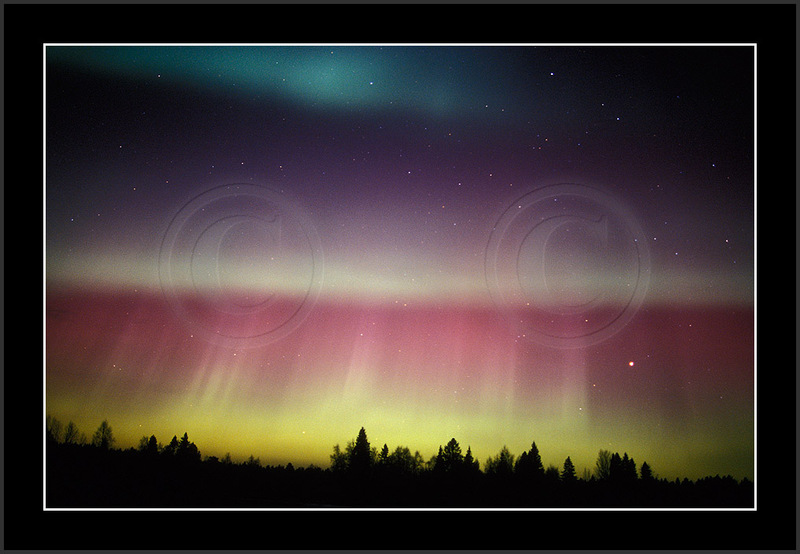 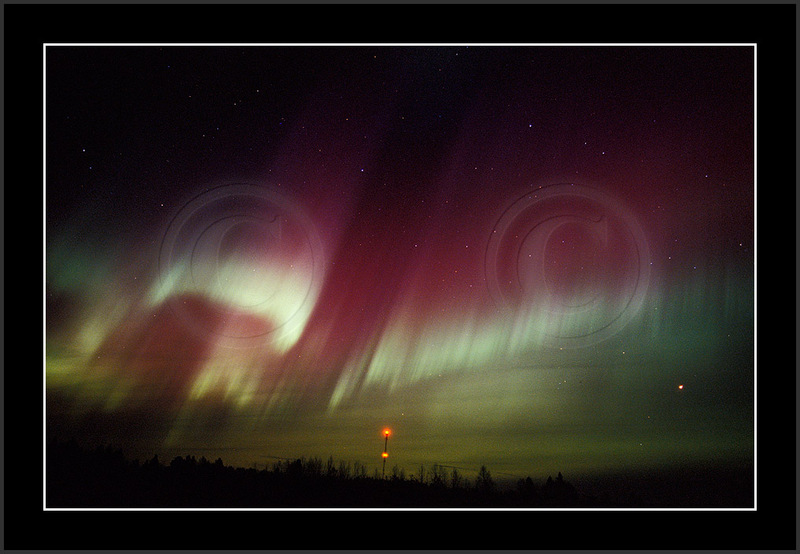 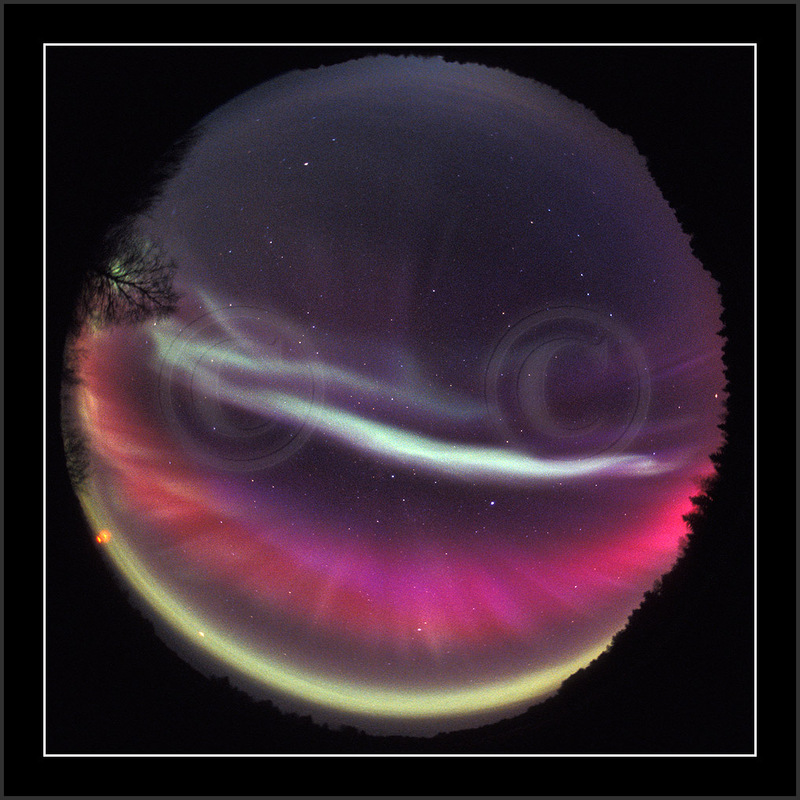 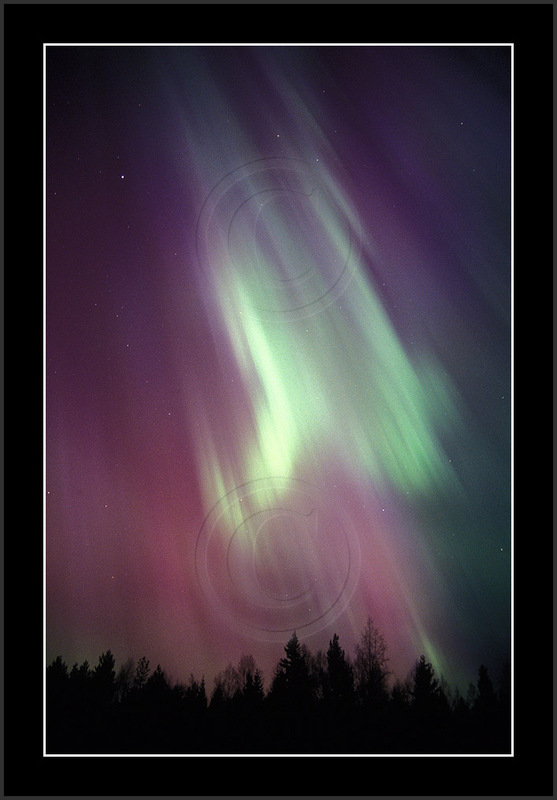 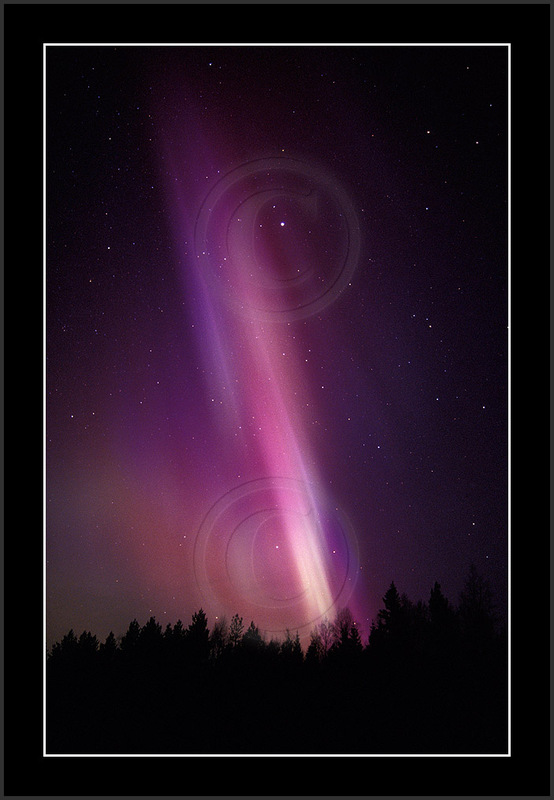 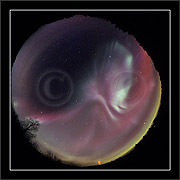 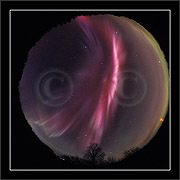 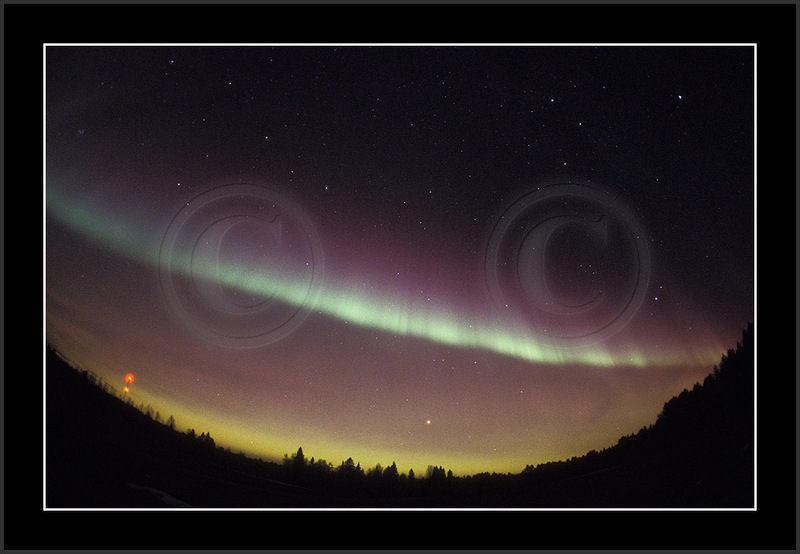 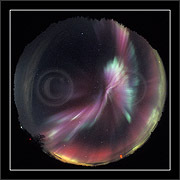 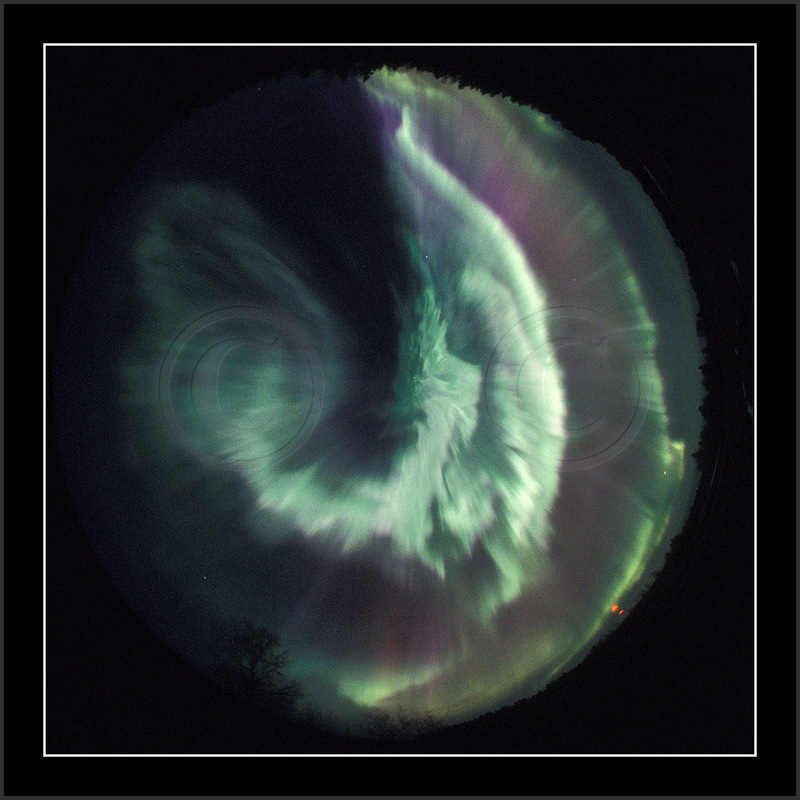 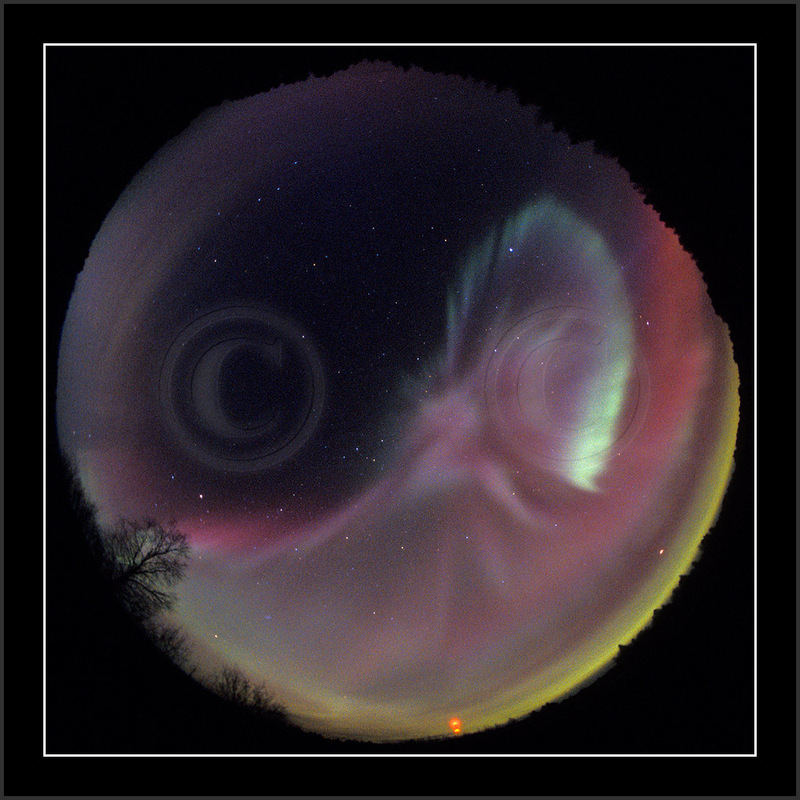 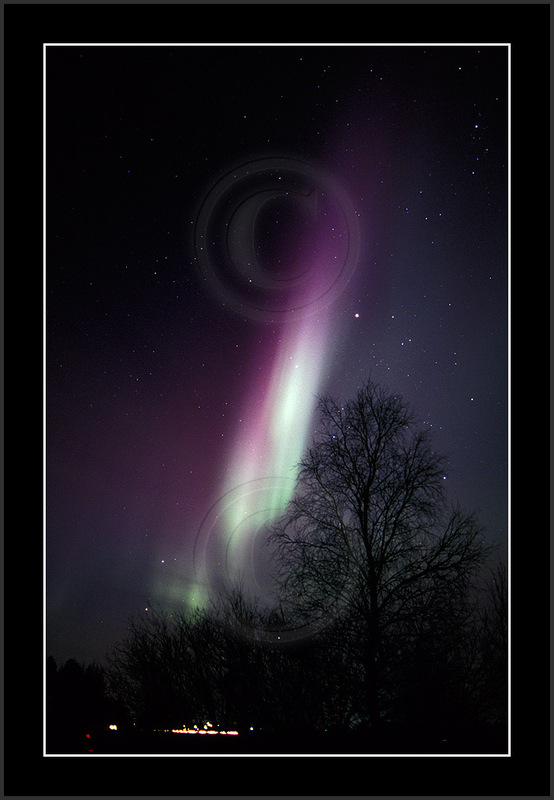 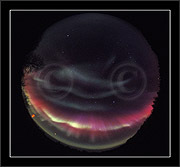 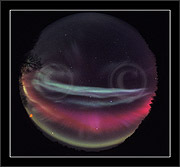 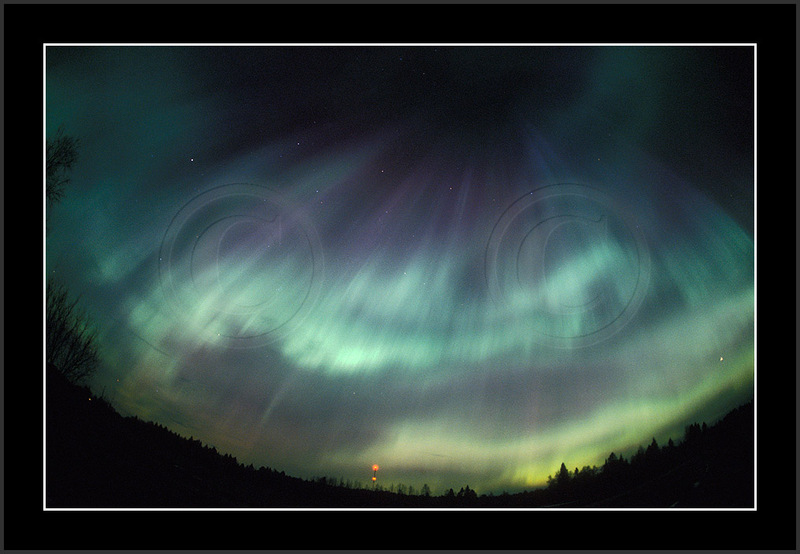 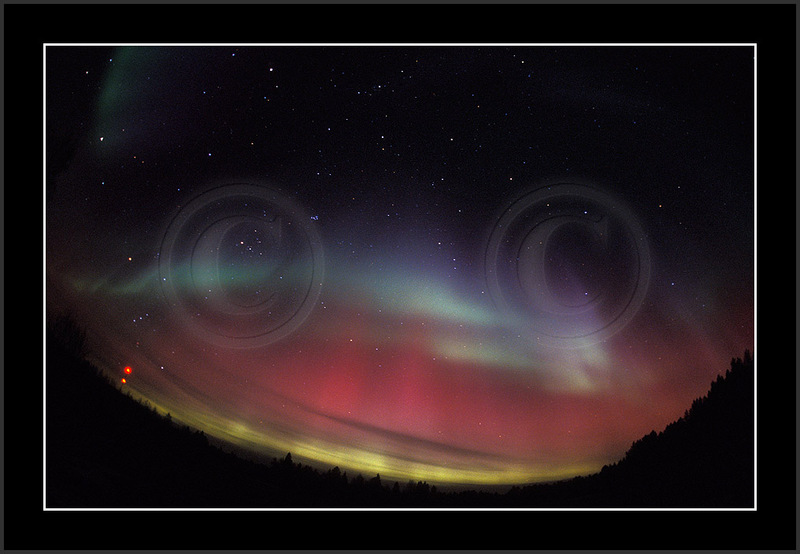 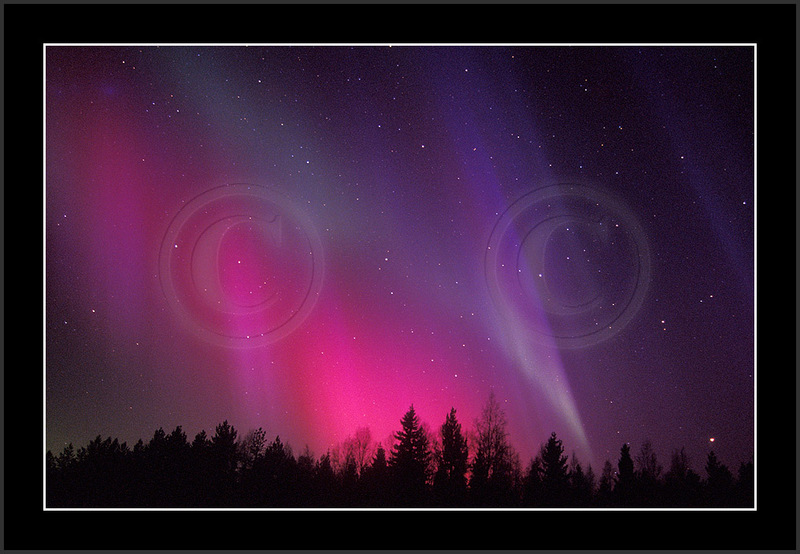 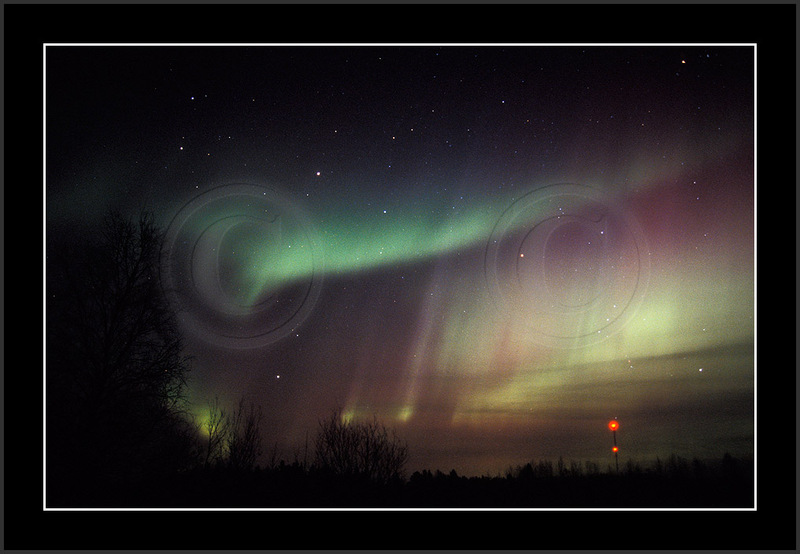 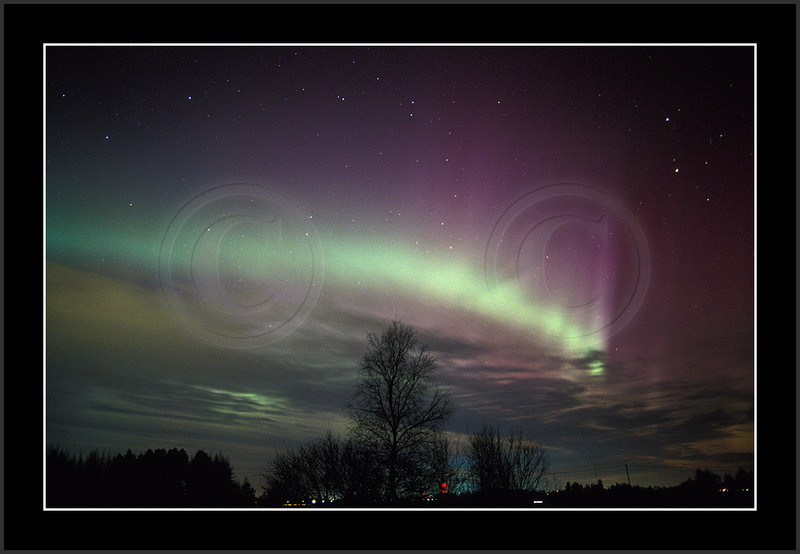 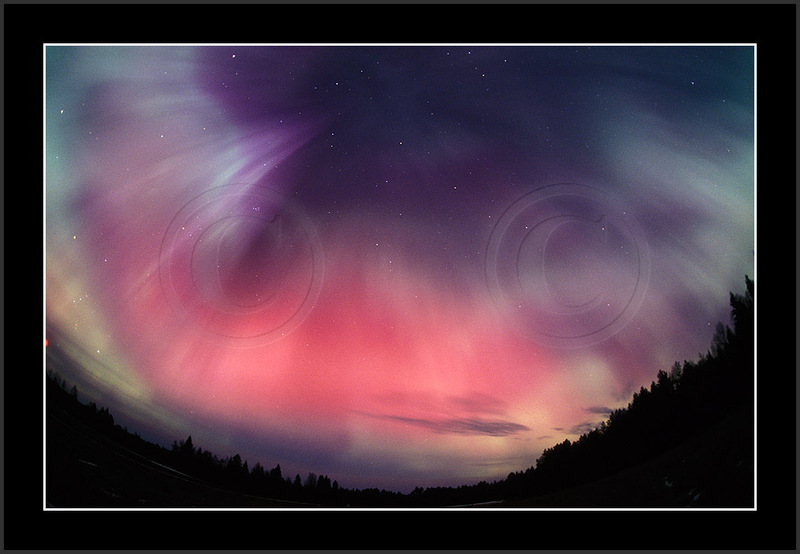 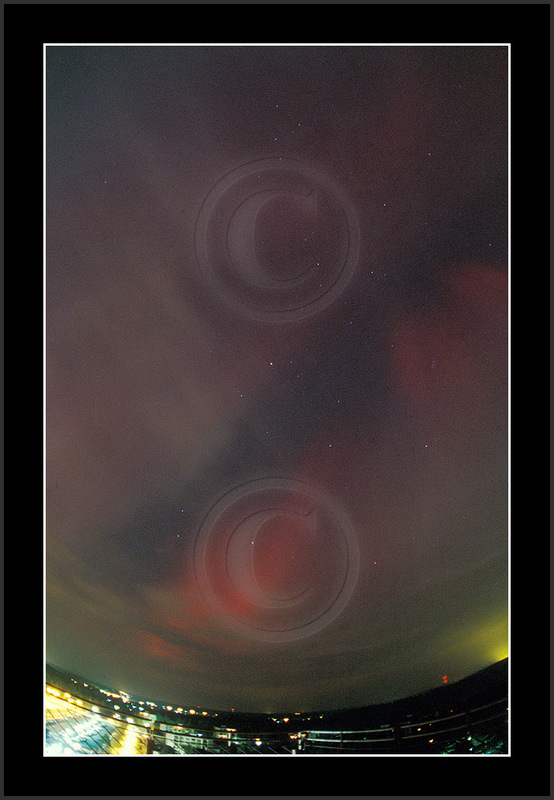 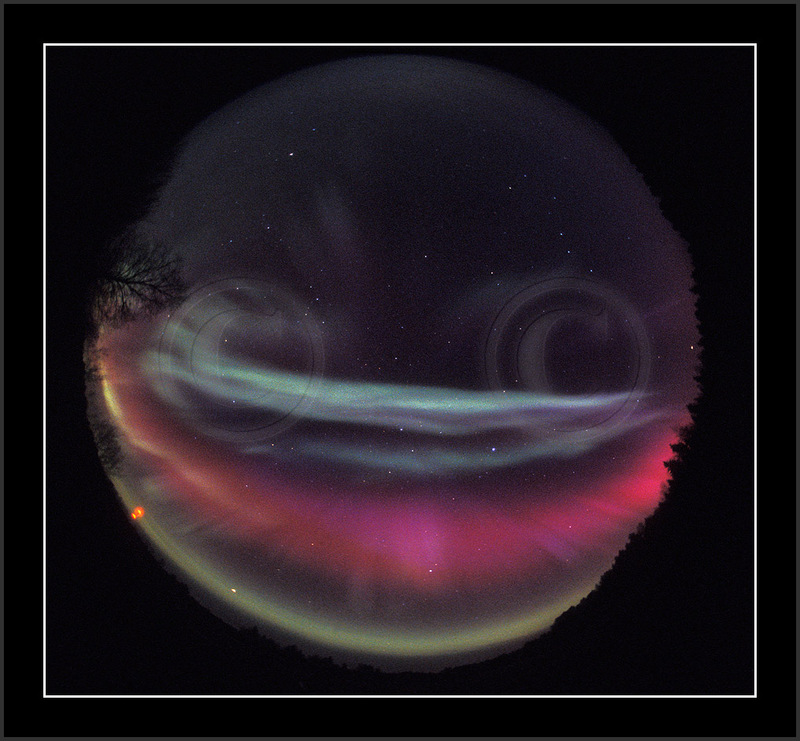 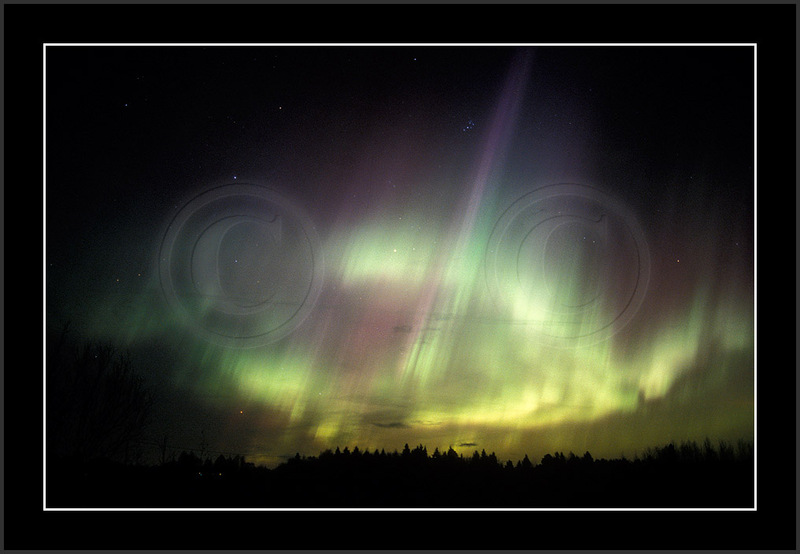 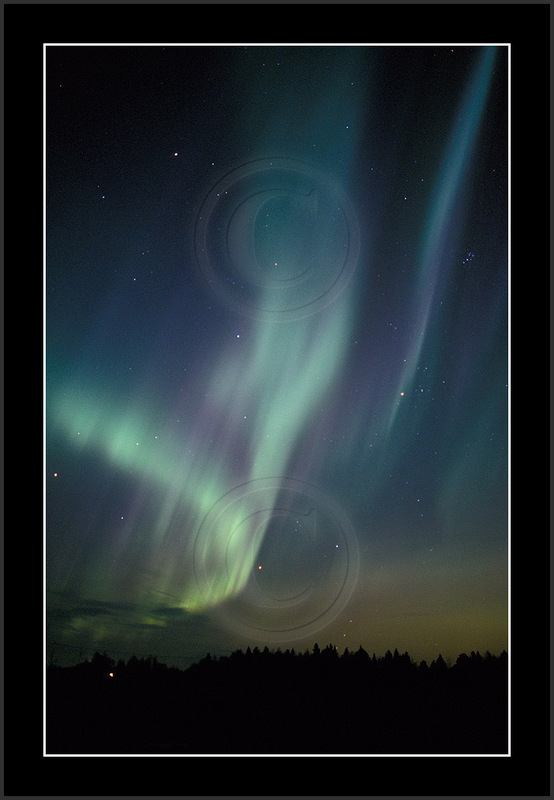 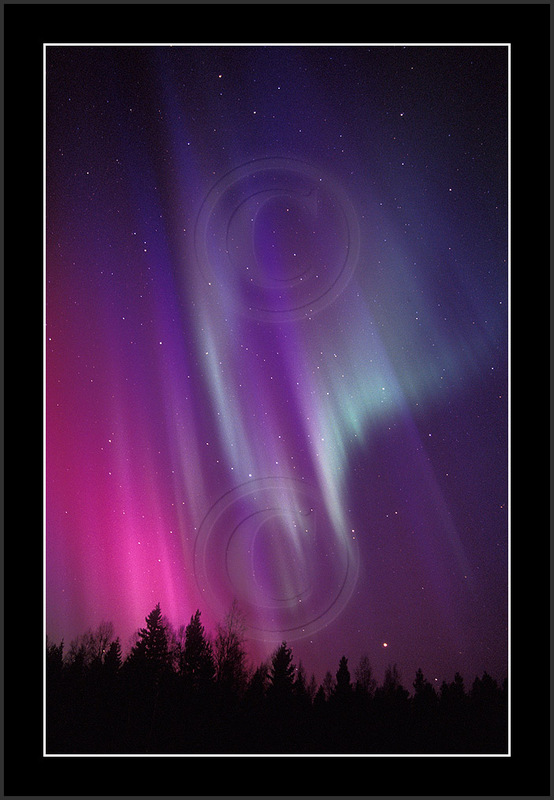 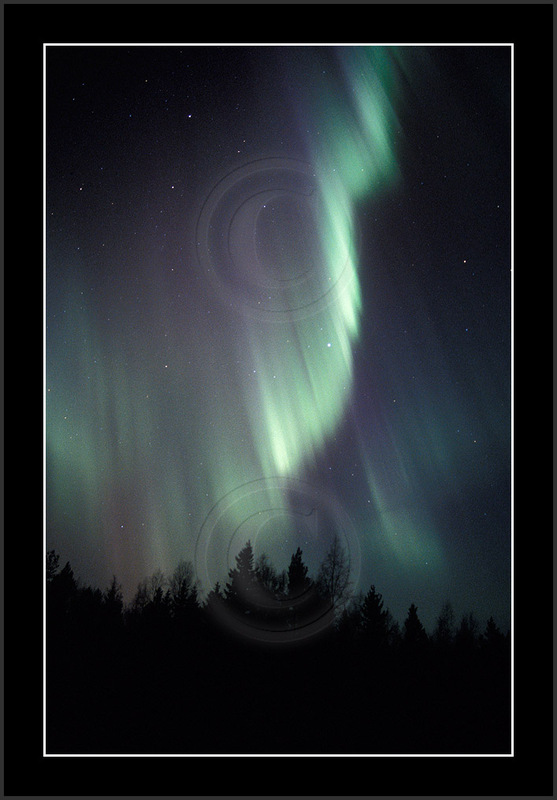 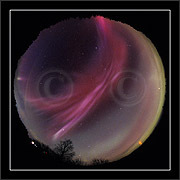 Major aurora storming started in early daylight hours (UT) 29th Oct. 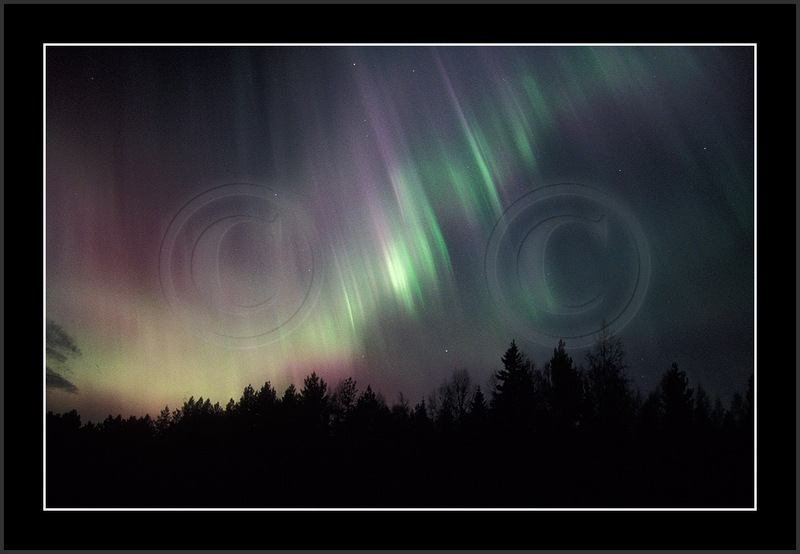 Weather was poor in southern Finland and I had to make a 650 kms drive north to get clear skies. 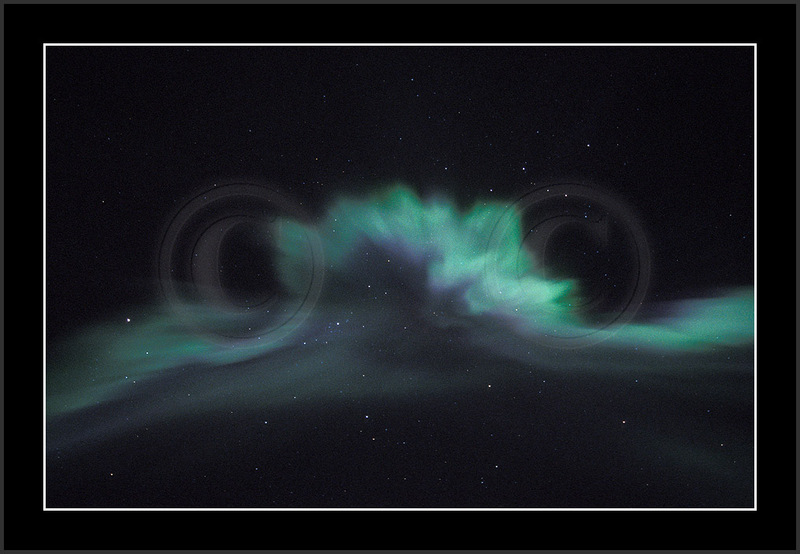 It was well worth doing as I could enjoy of almost clear skies between 17-23 UT 29th Oct. 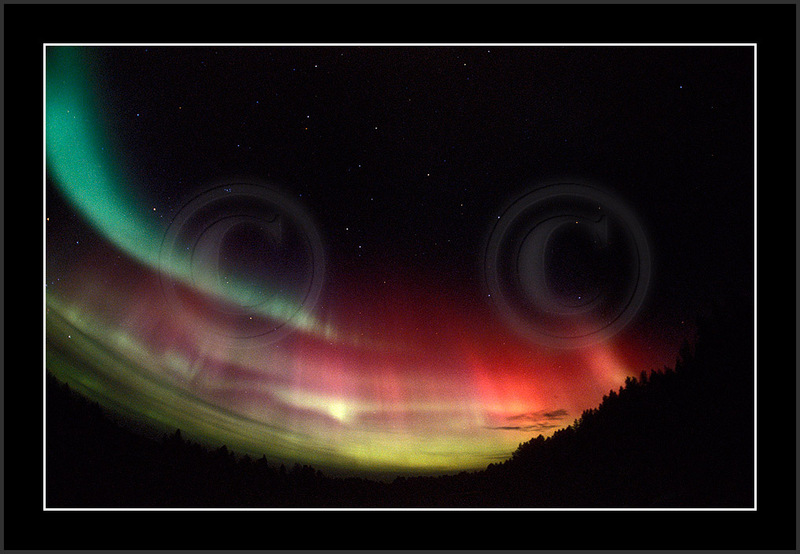 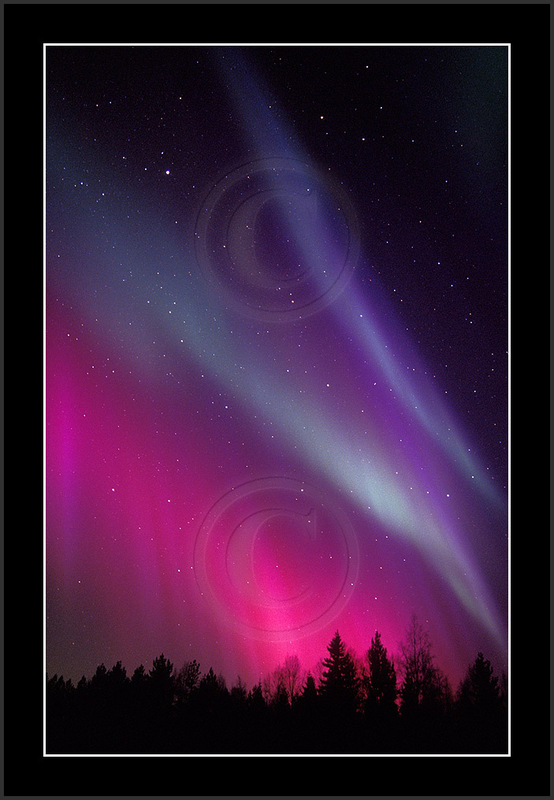 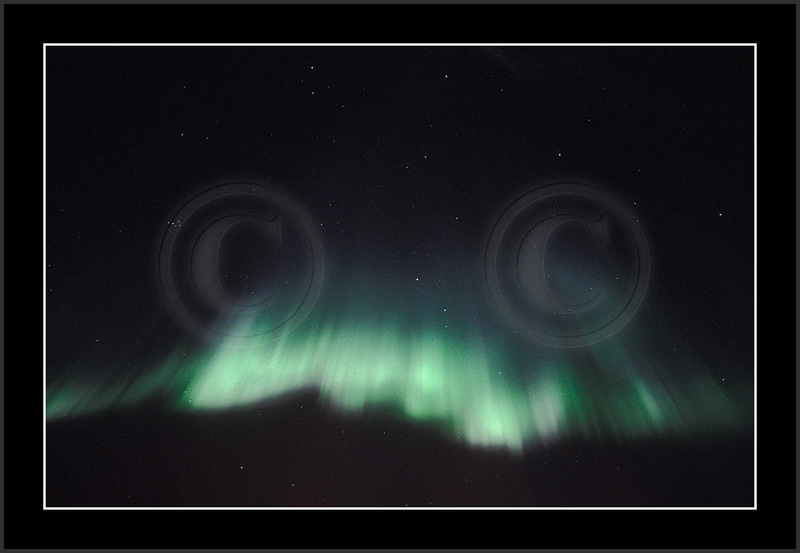 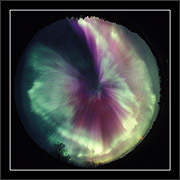 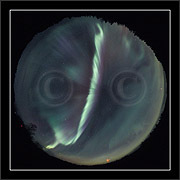 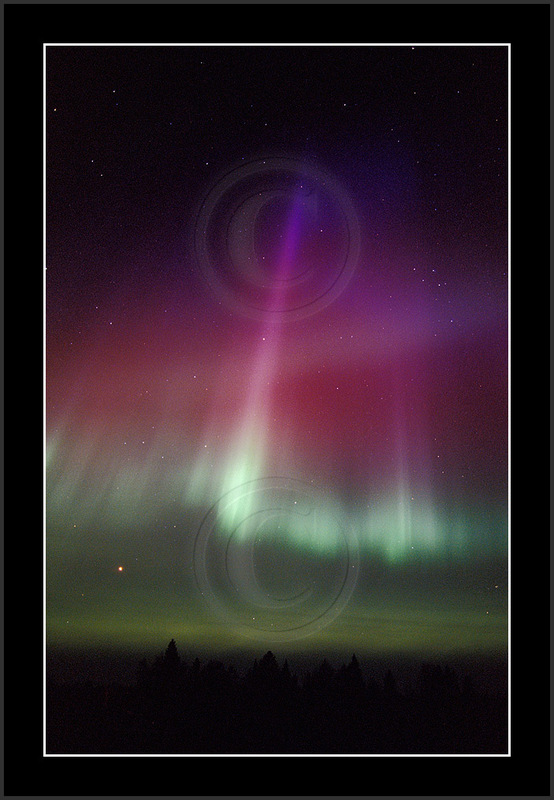 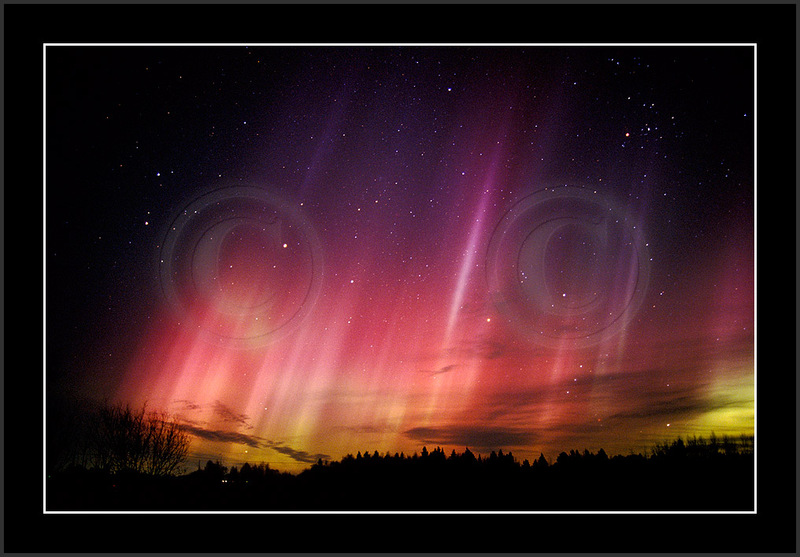 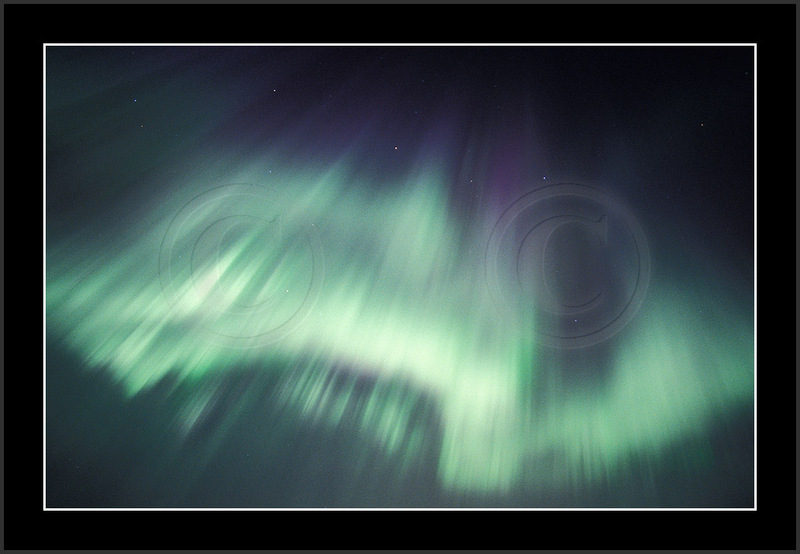 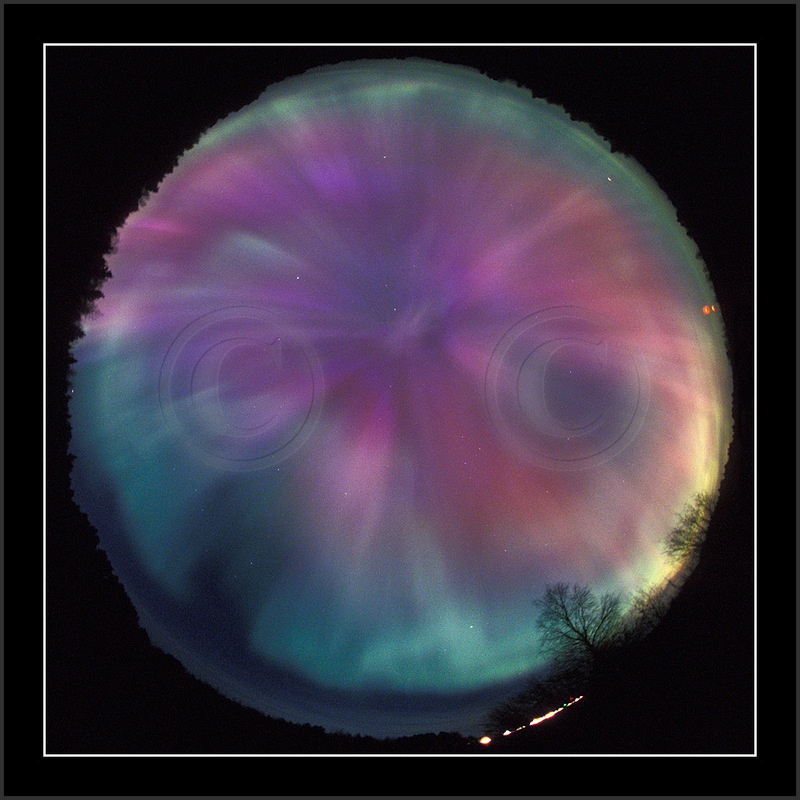 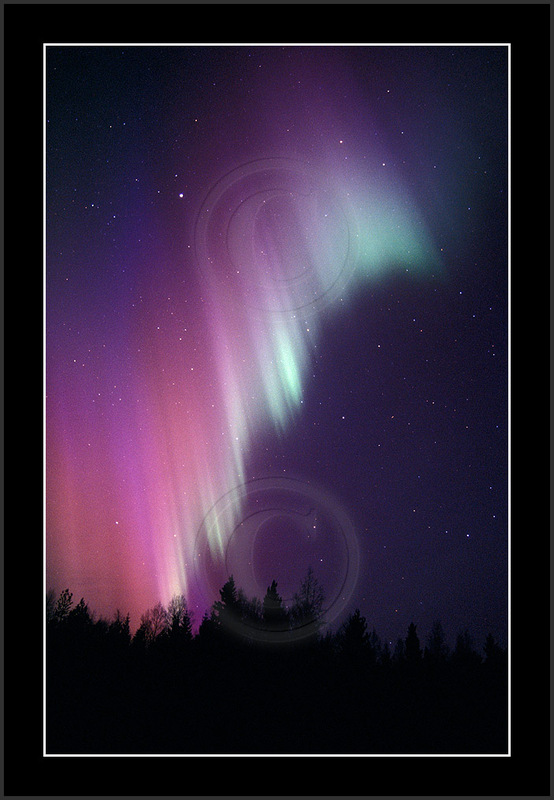 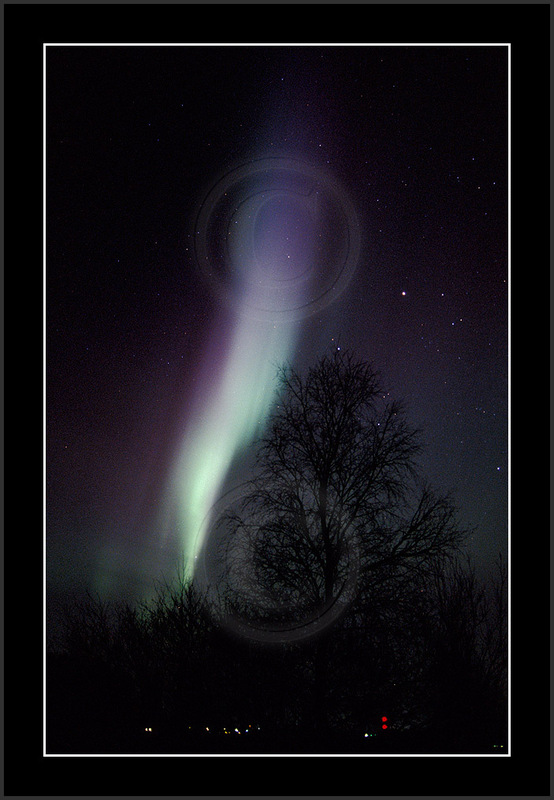 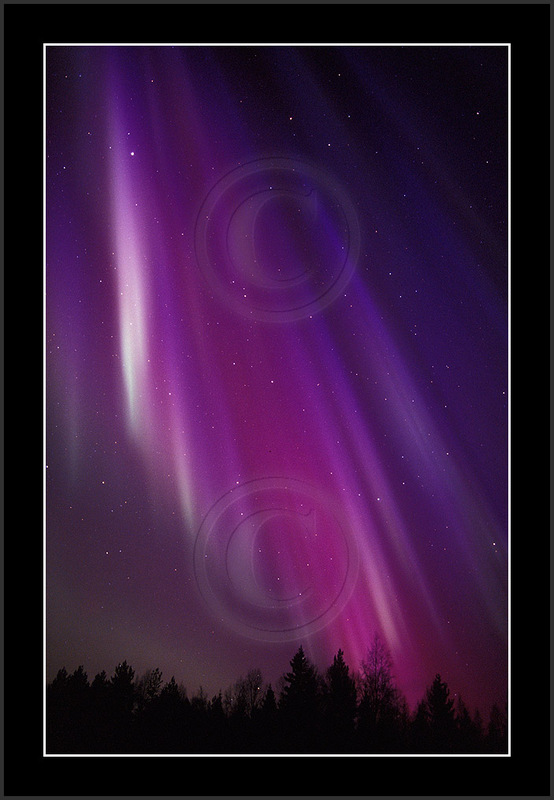 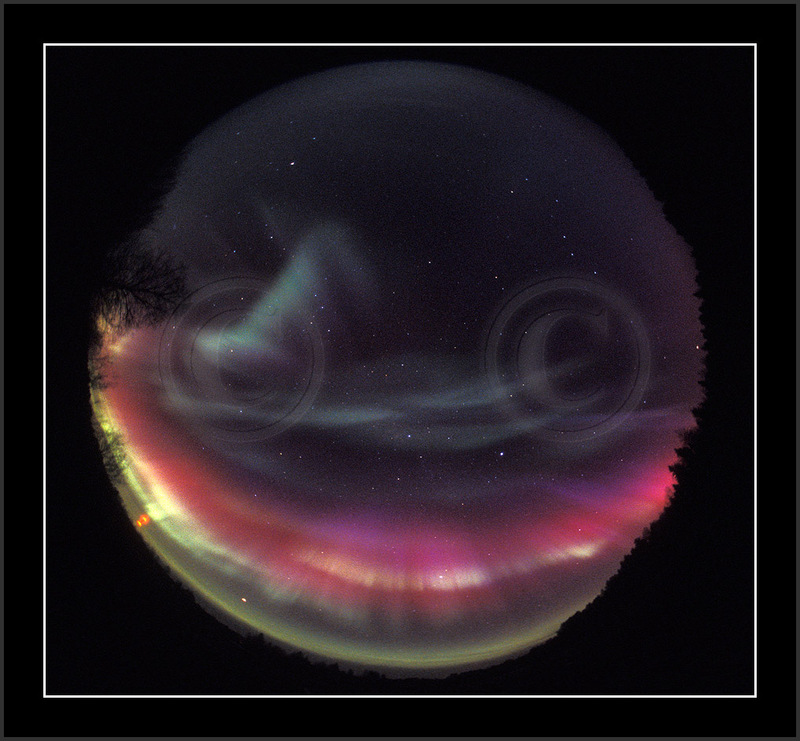 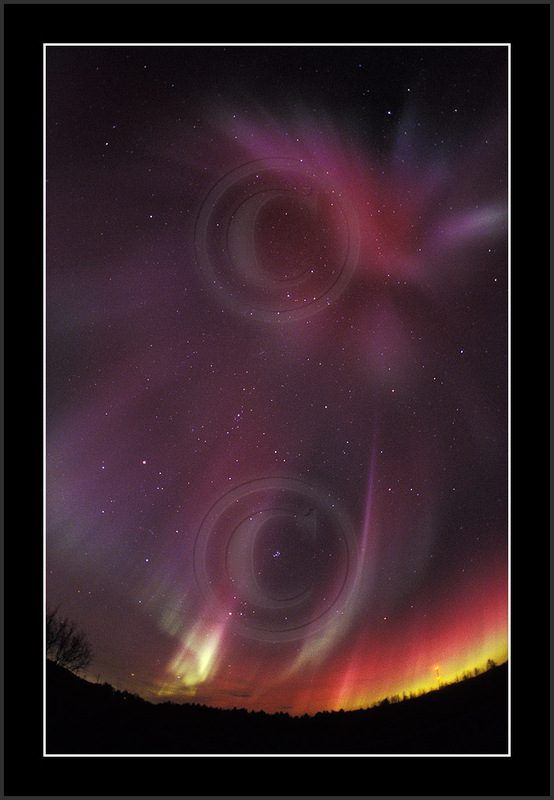 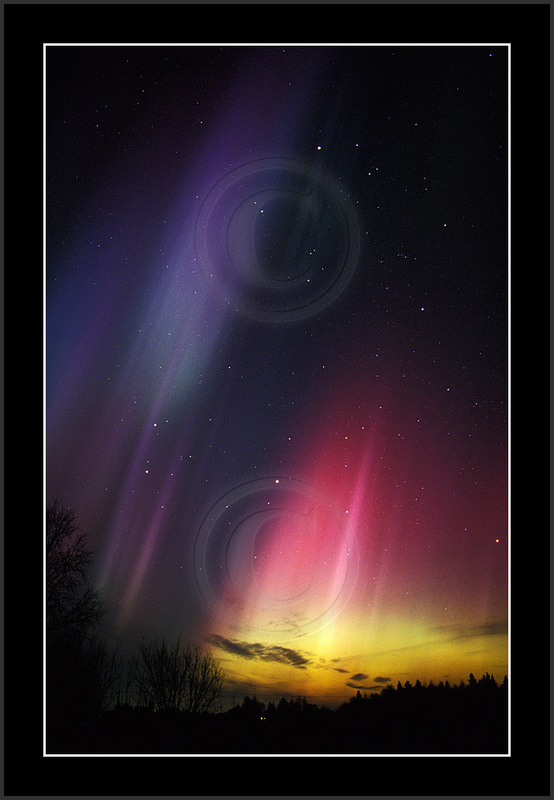 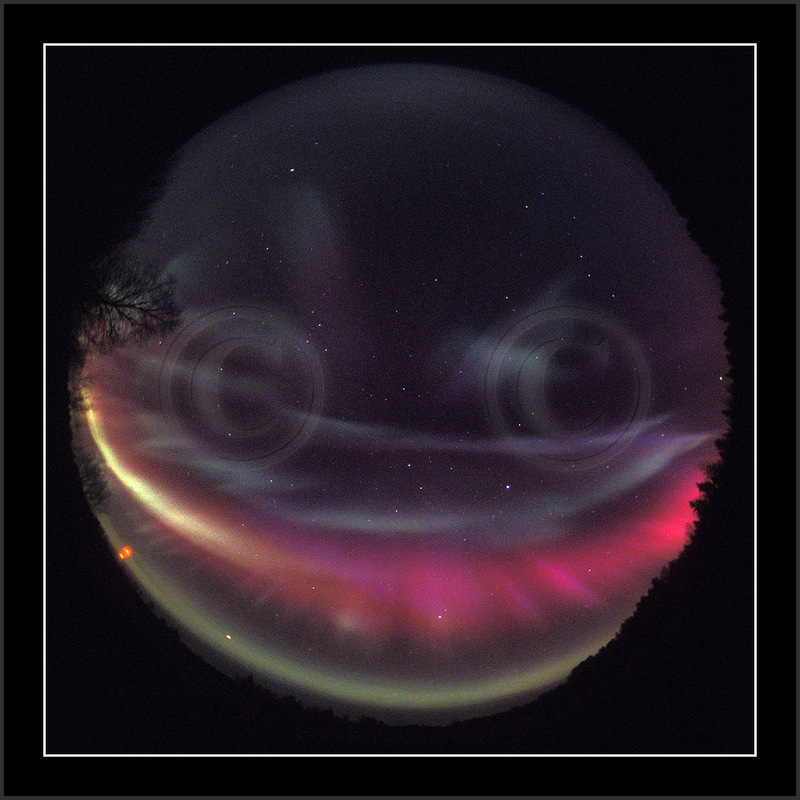 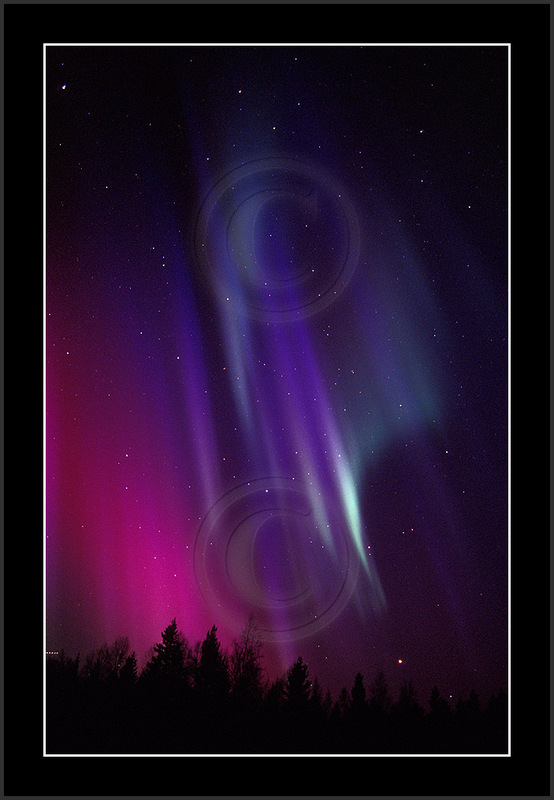 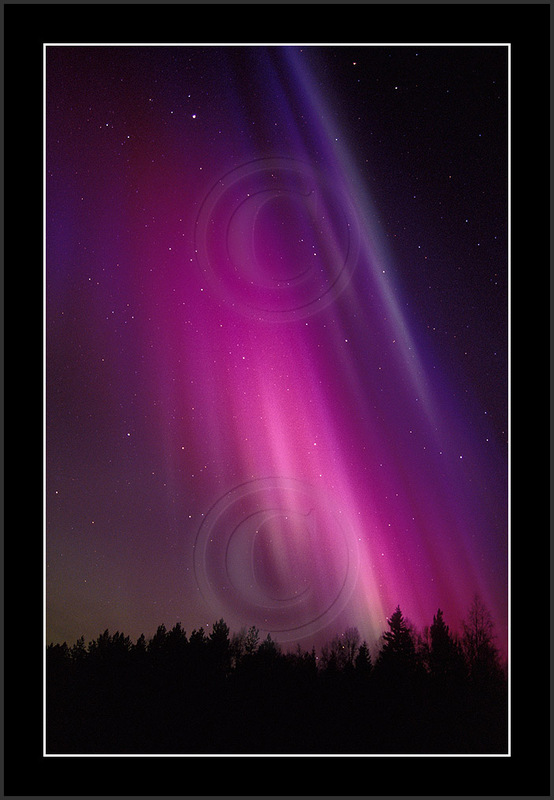 This was the best aurora show witnessed by me. 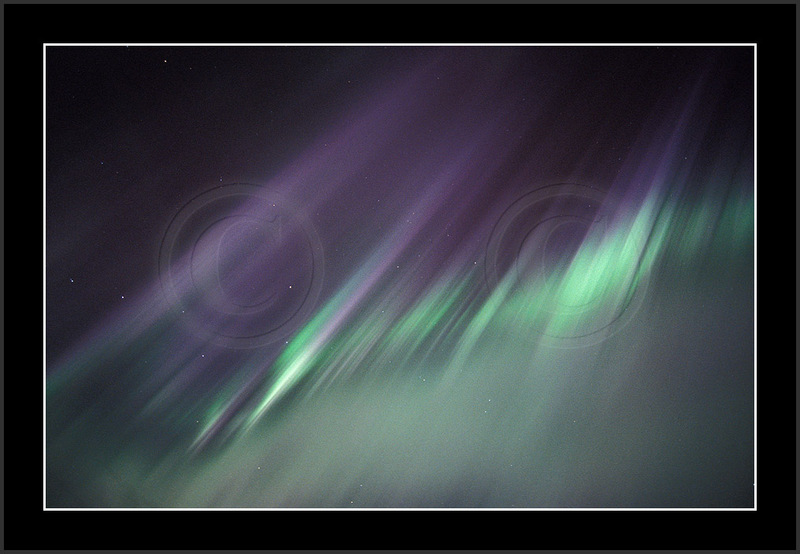 Fiercy display did show intense colours, calm moments, fast moving curtains, all sky storming most of the time. 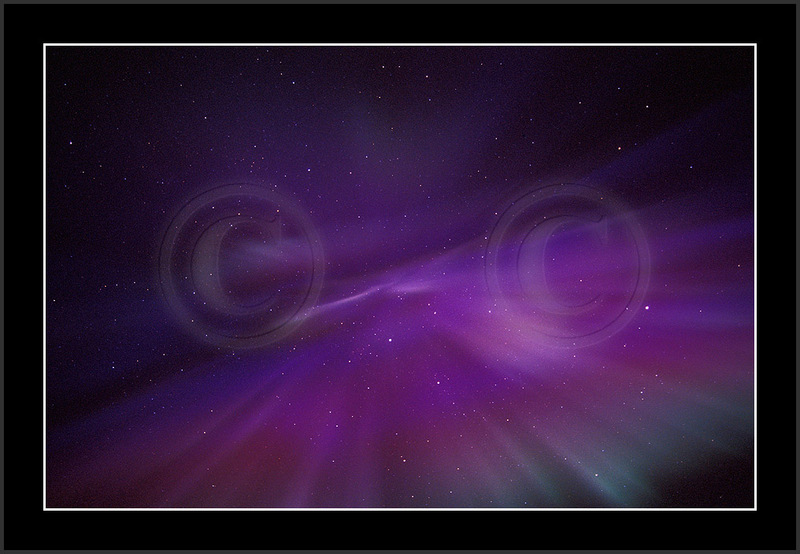 There are some badly overexposed images shown here. 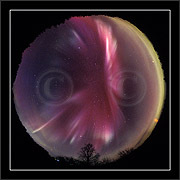 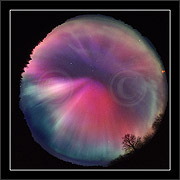 It is intentional and will just show different forms seen in the sky. 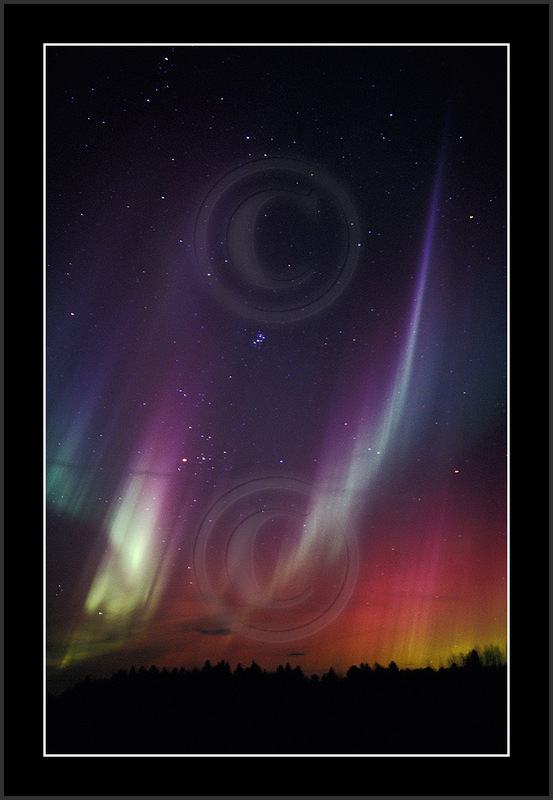 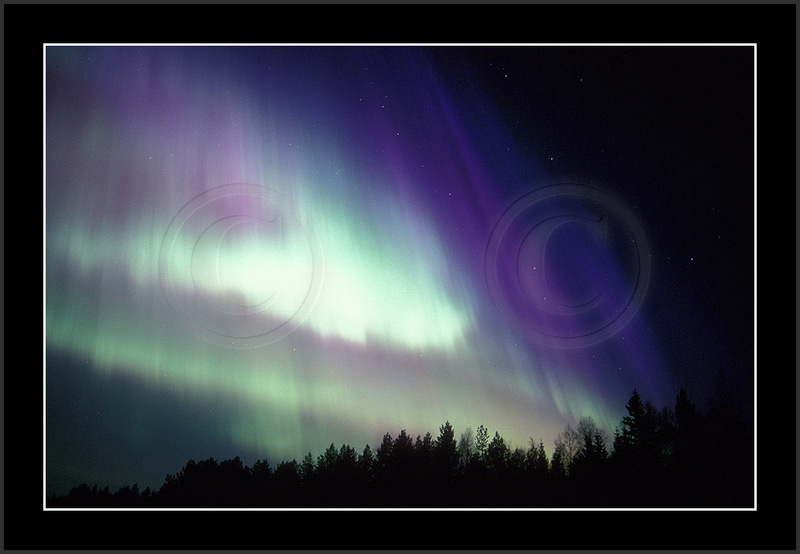 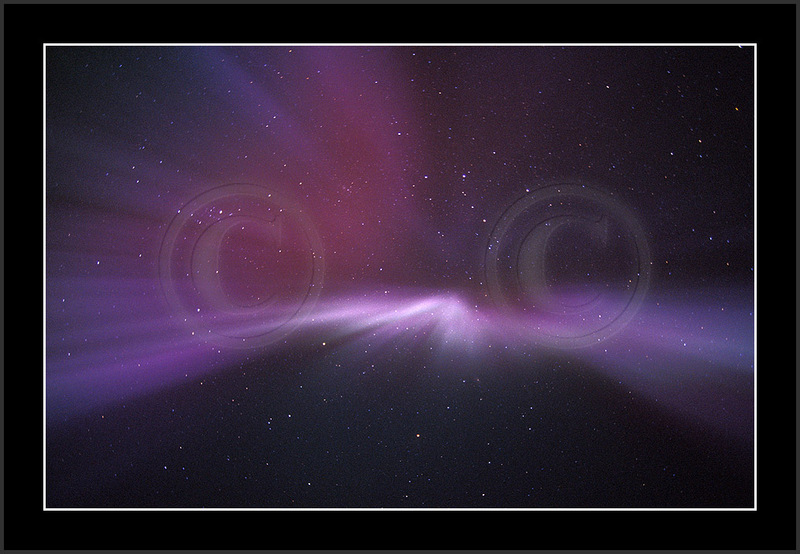 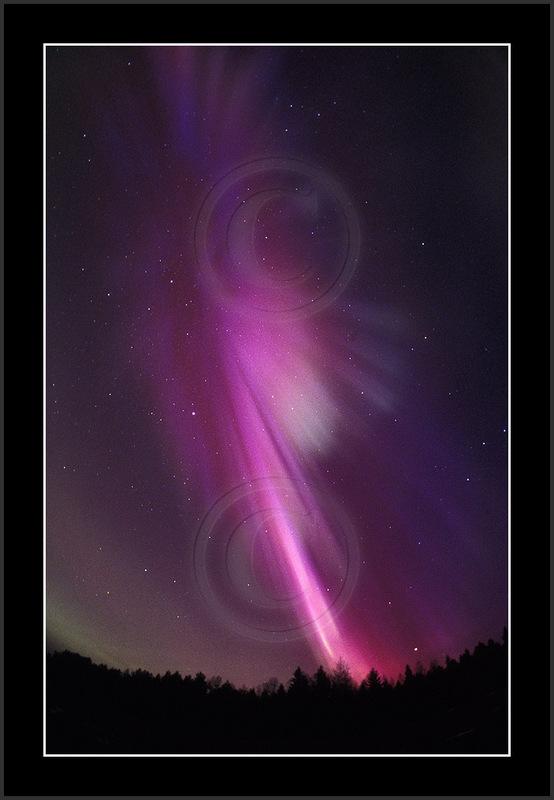 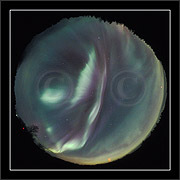 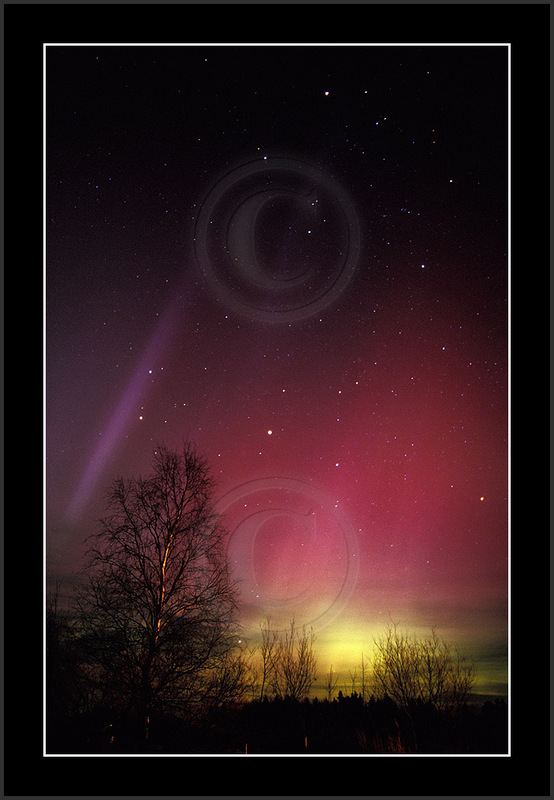 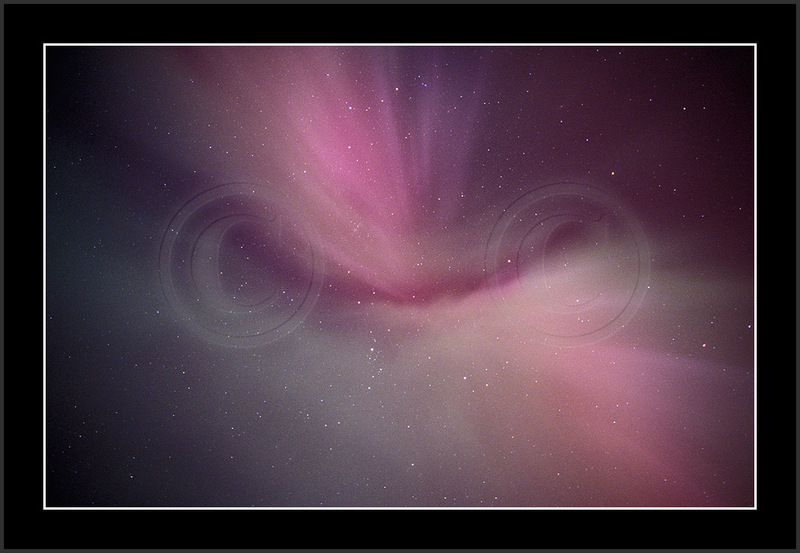 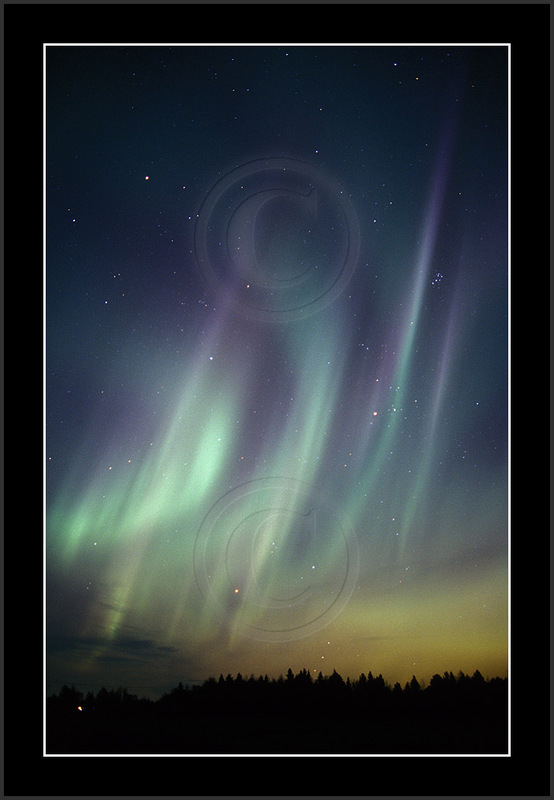 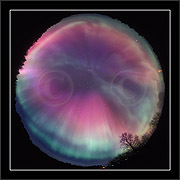 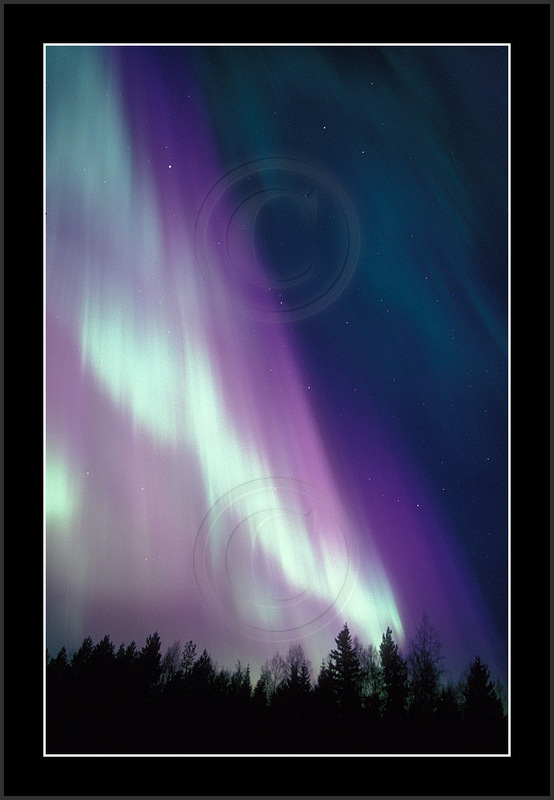 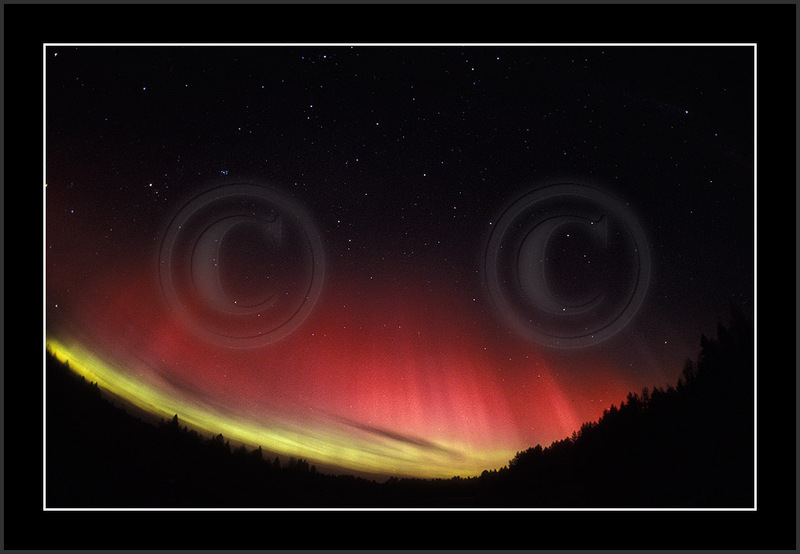 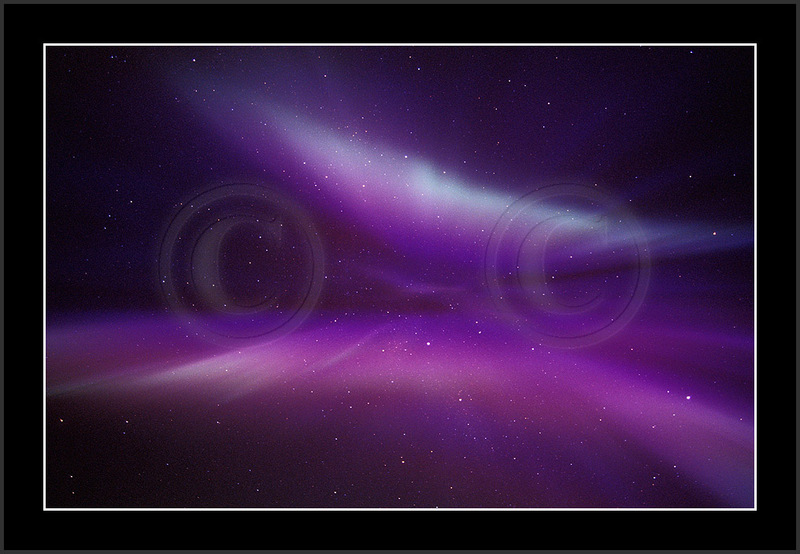 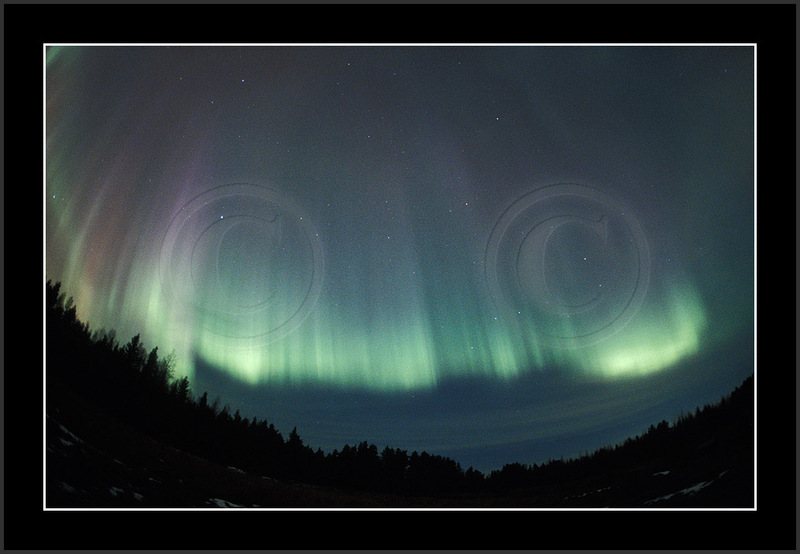 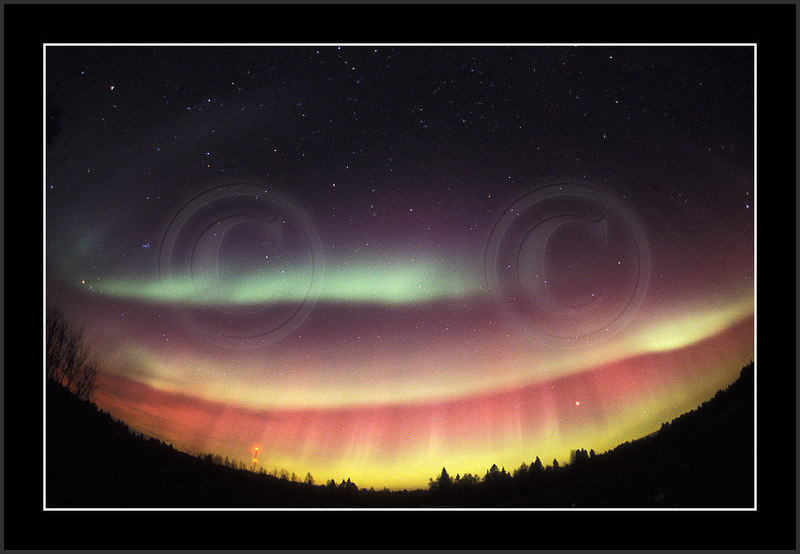 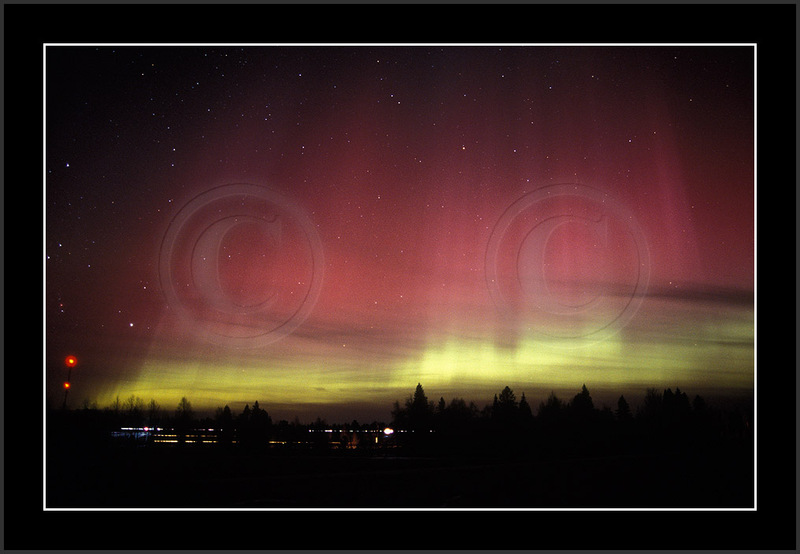 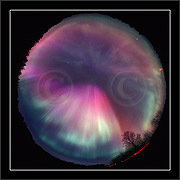 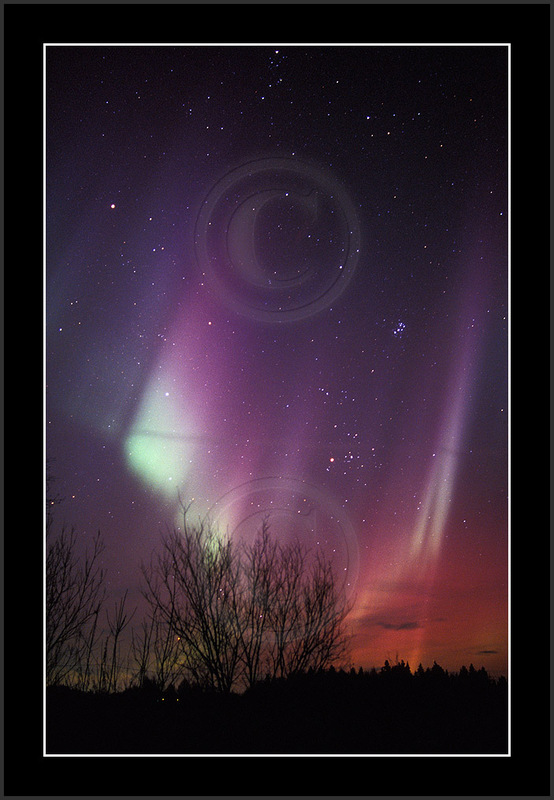 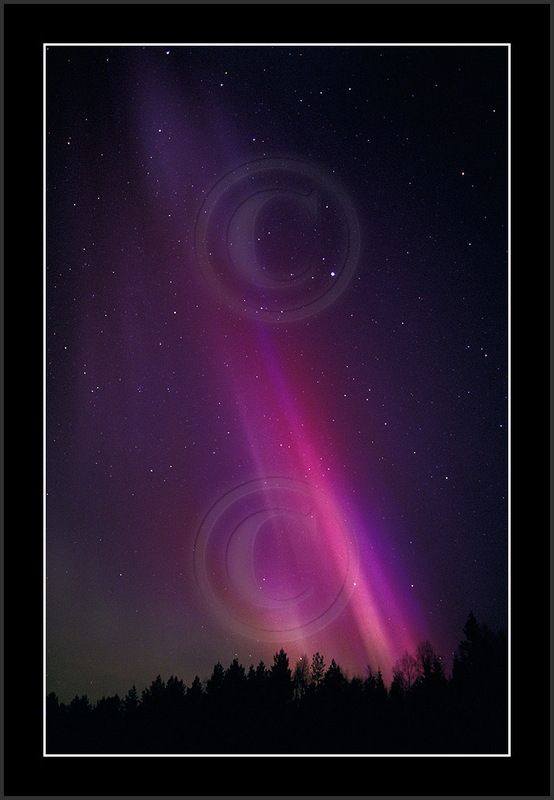 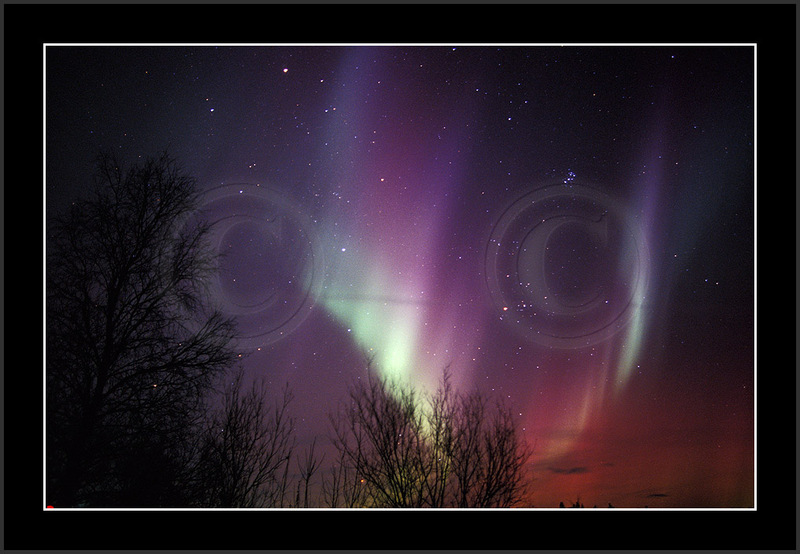 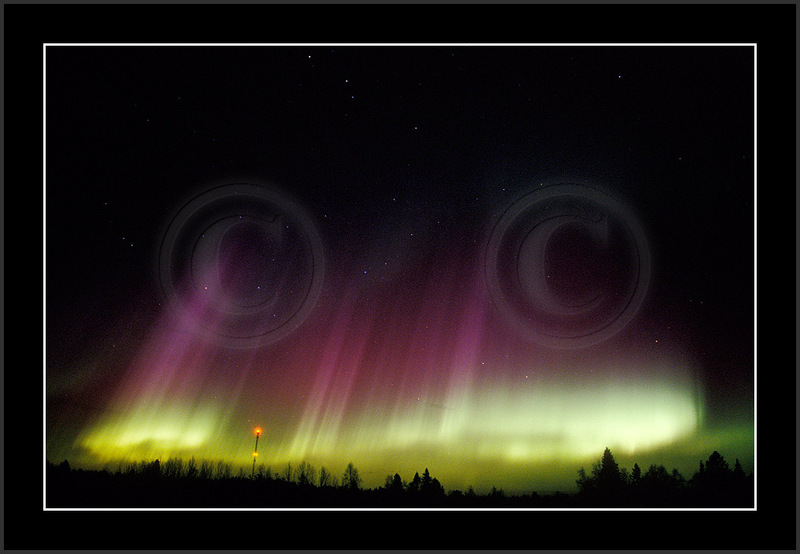 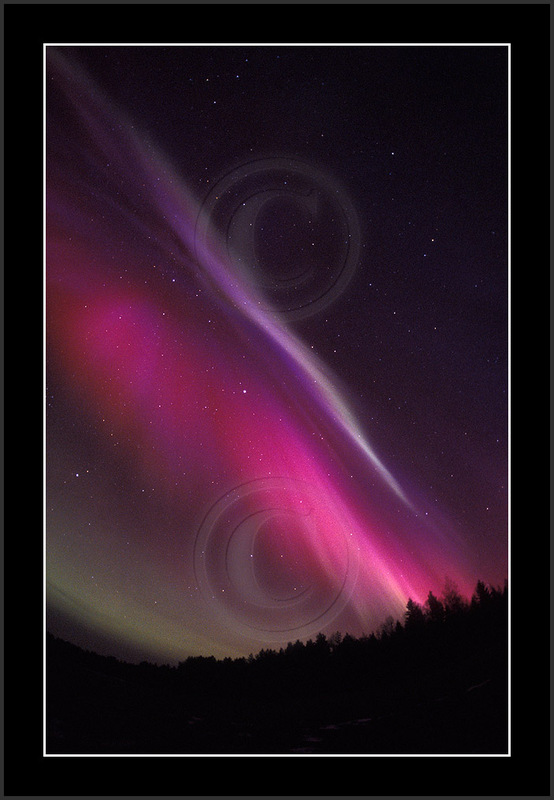 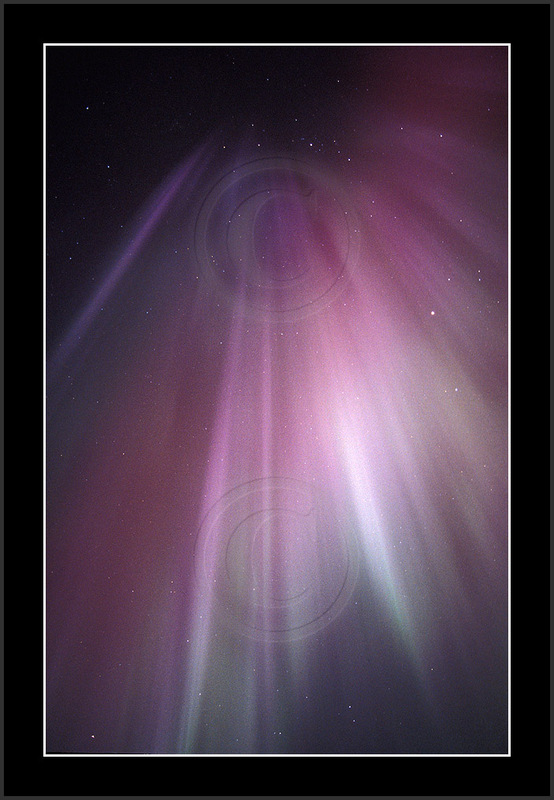 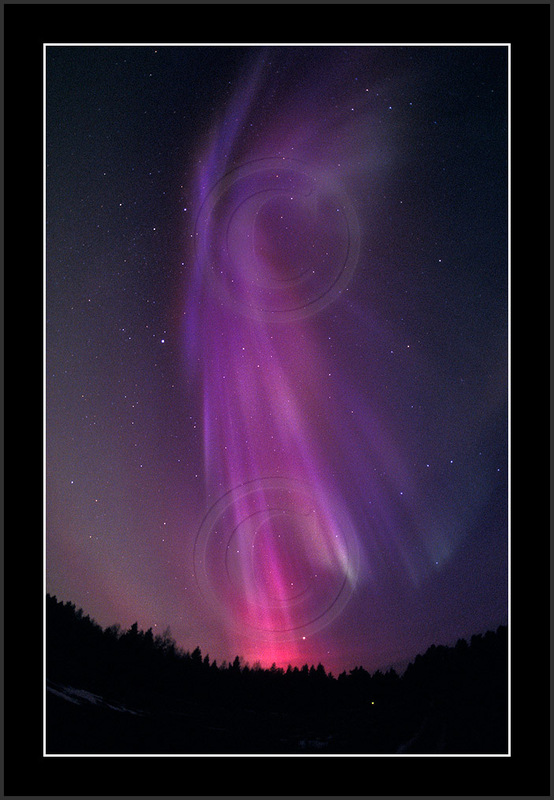 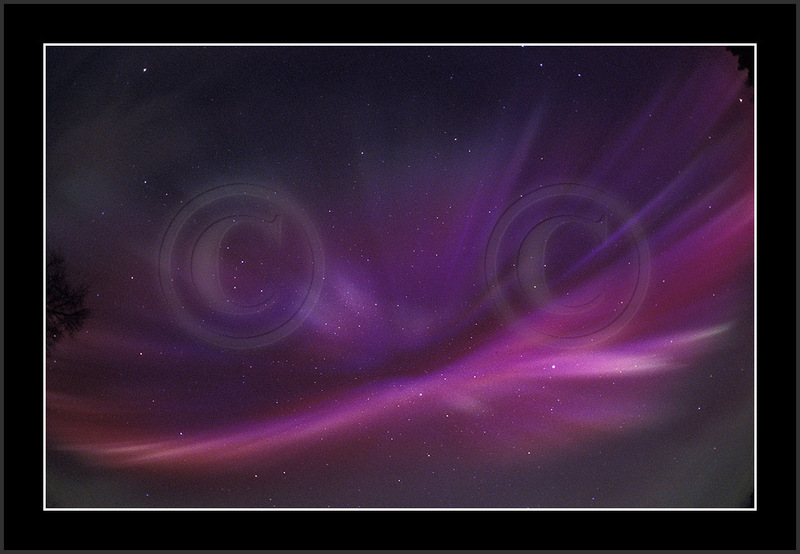 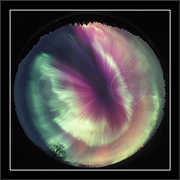 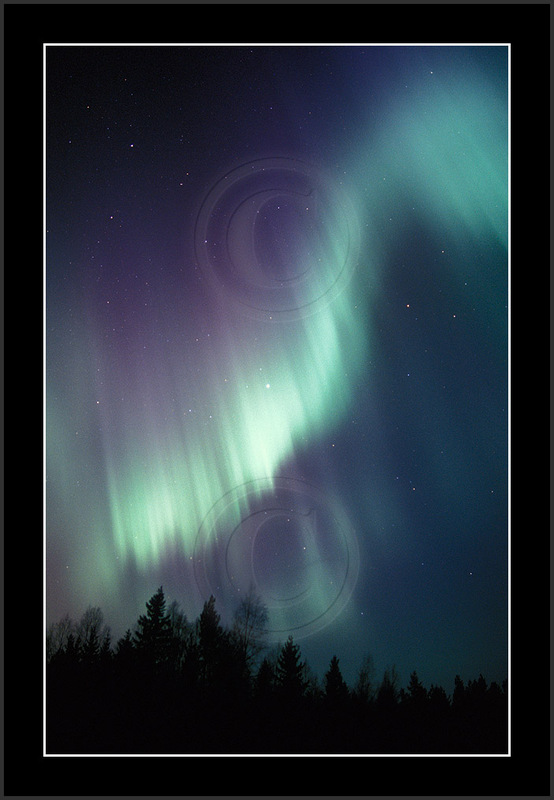 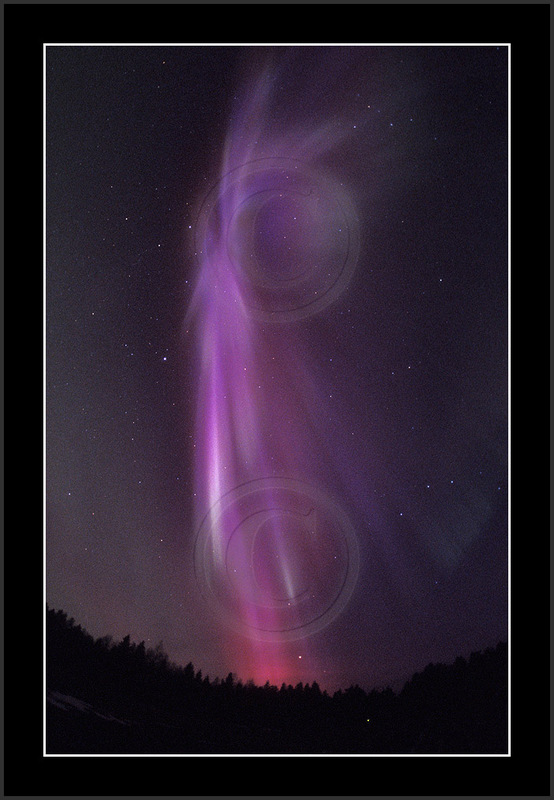 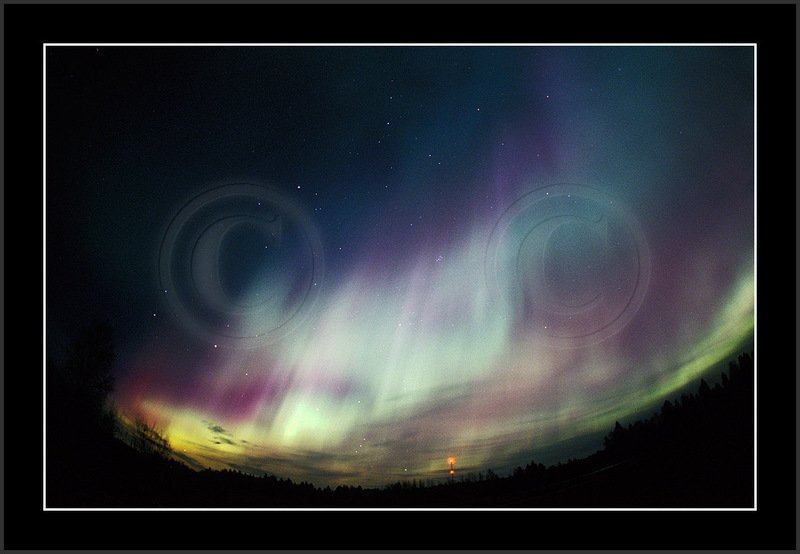 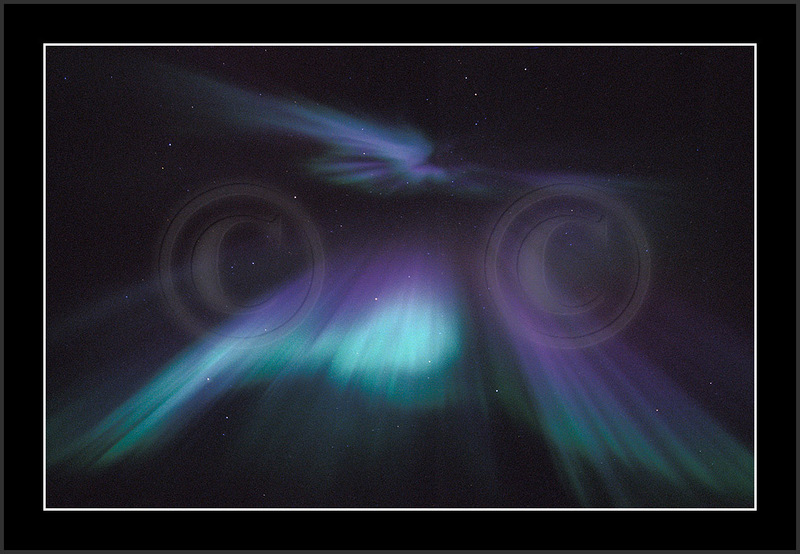 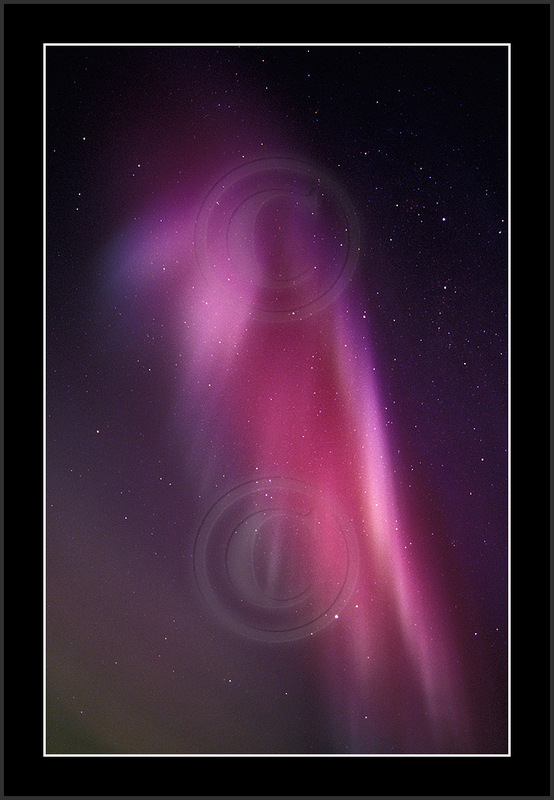 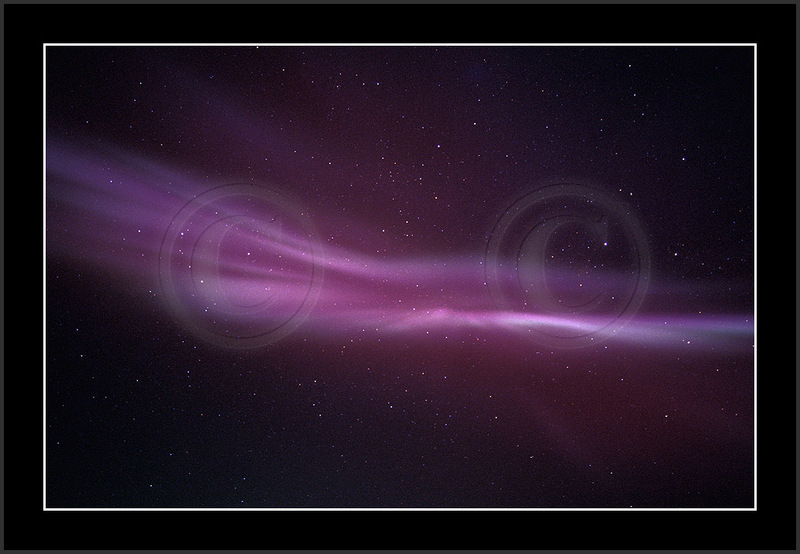 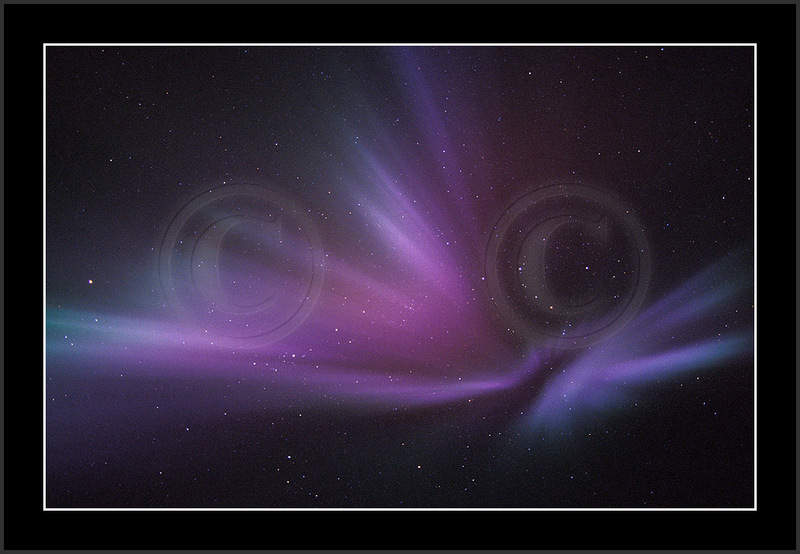 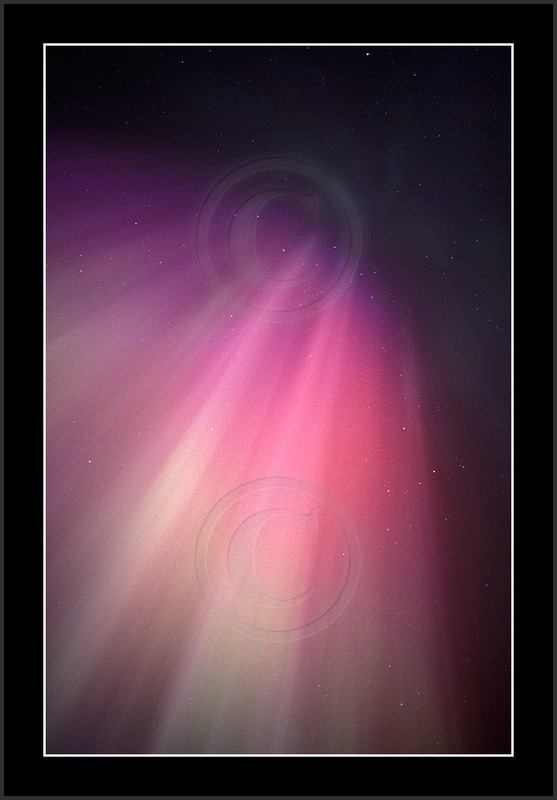 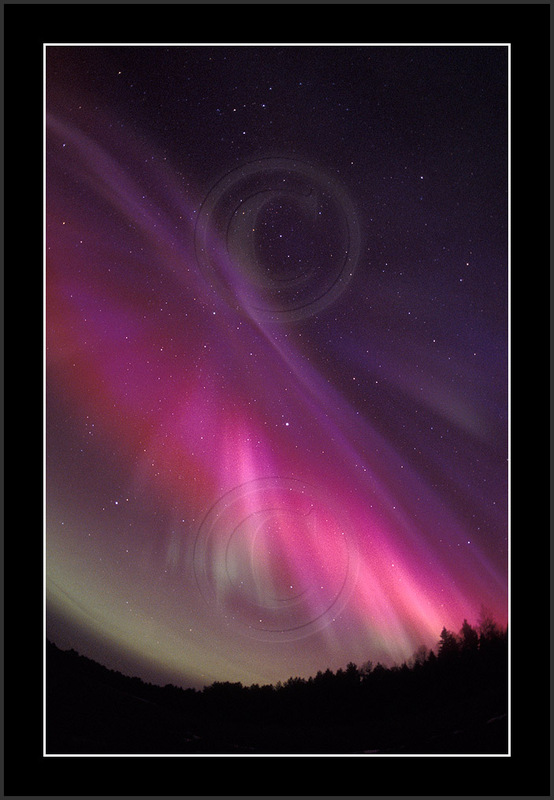 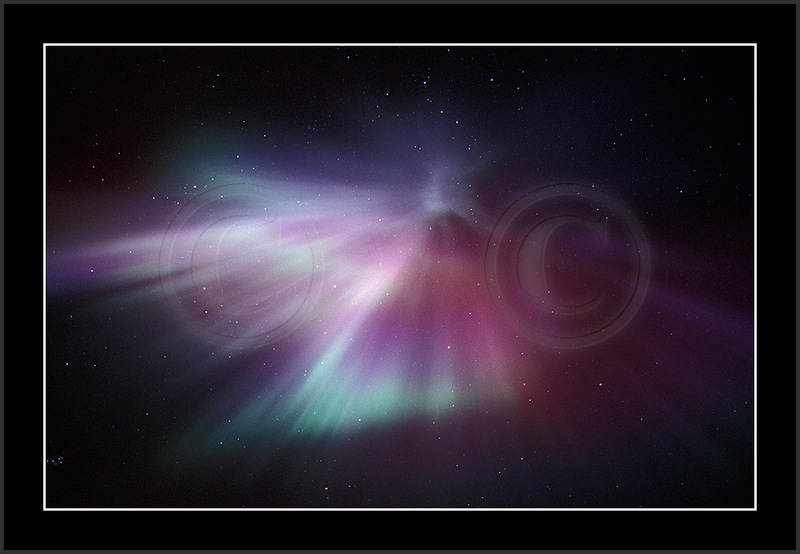 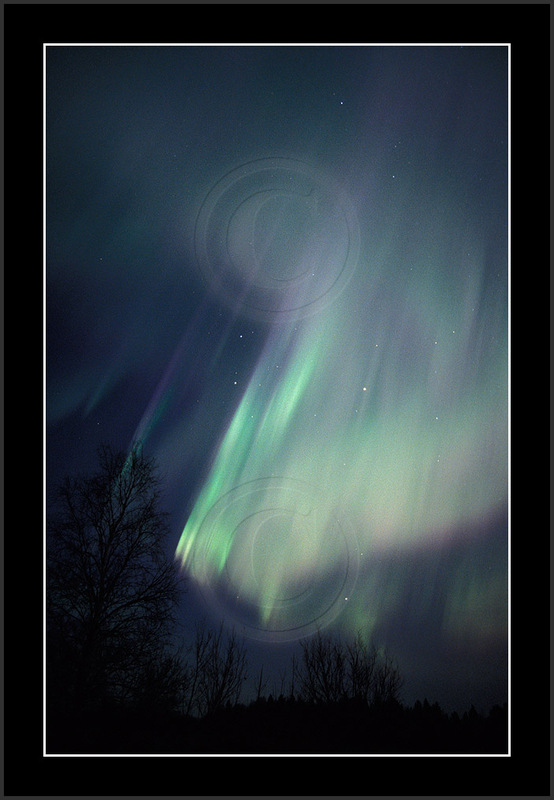 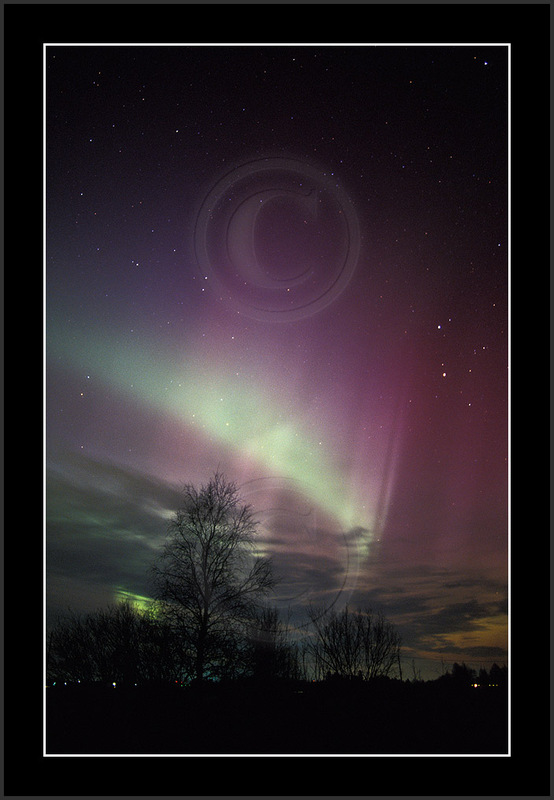 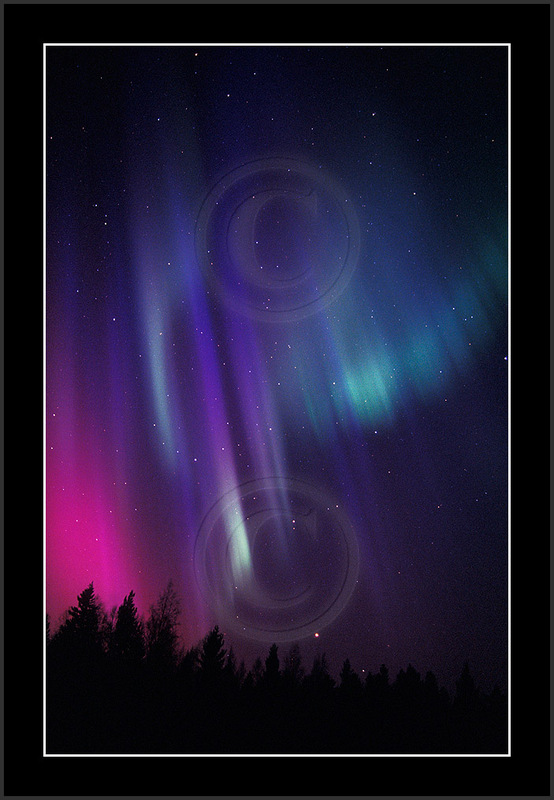 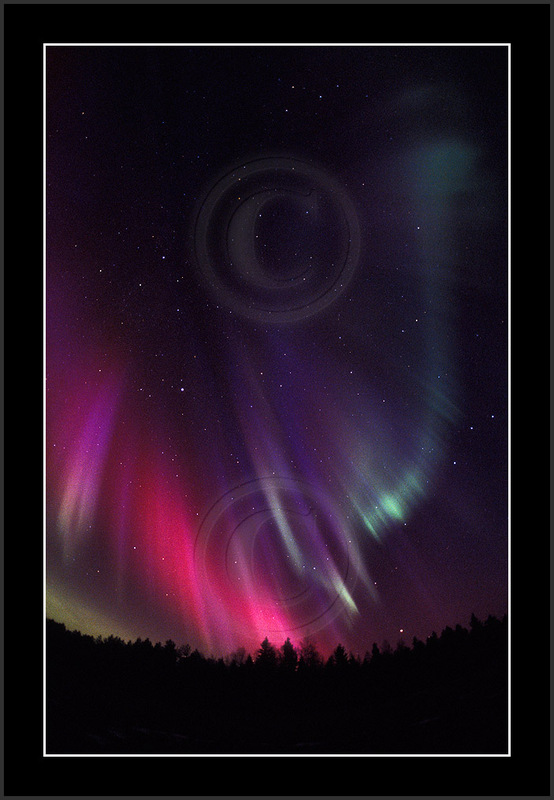 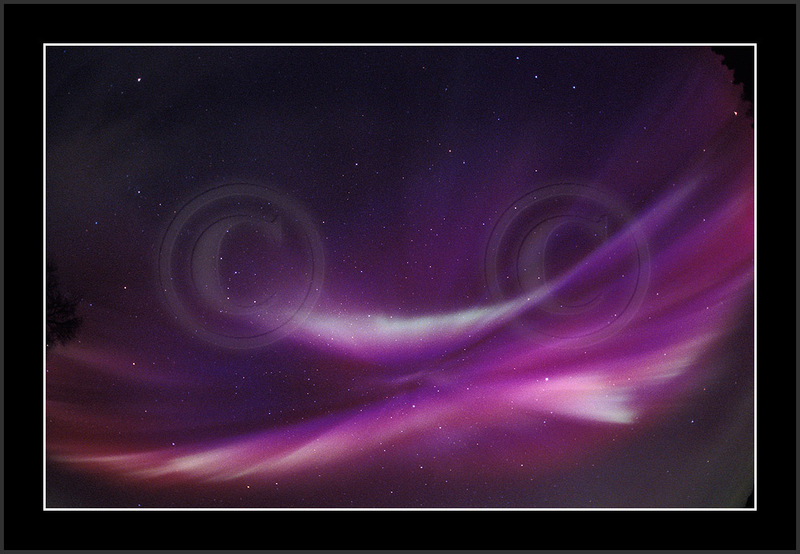 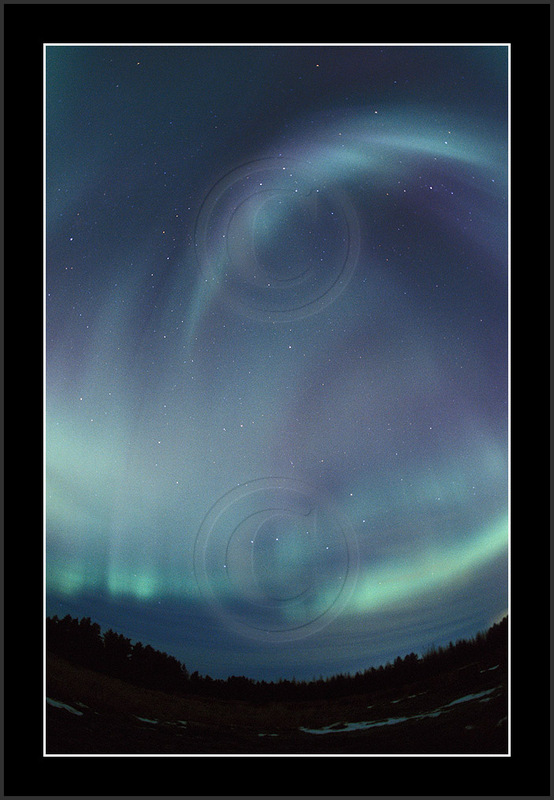 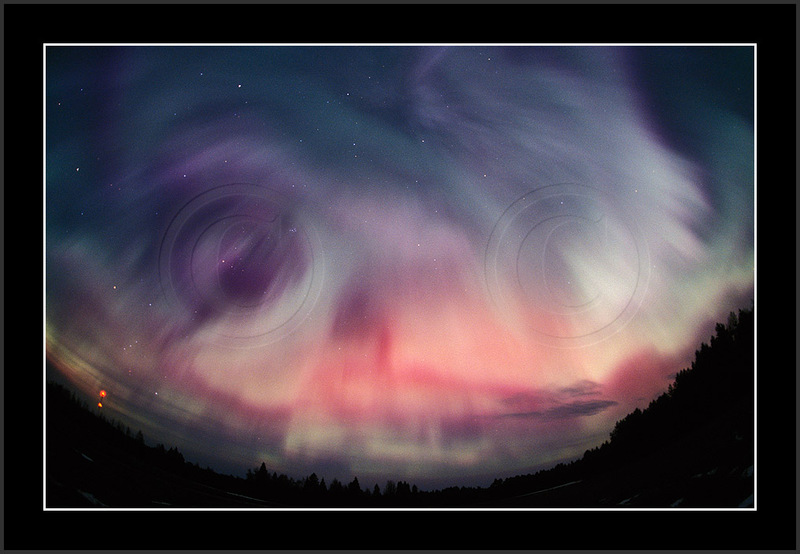 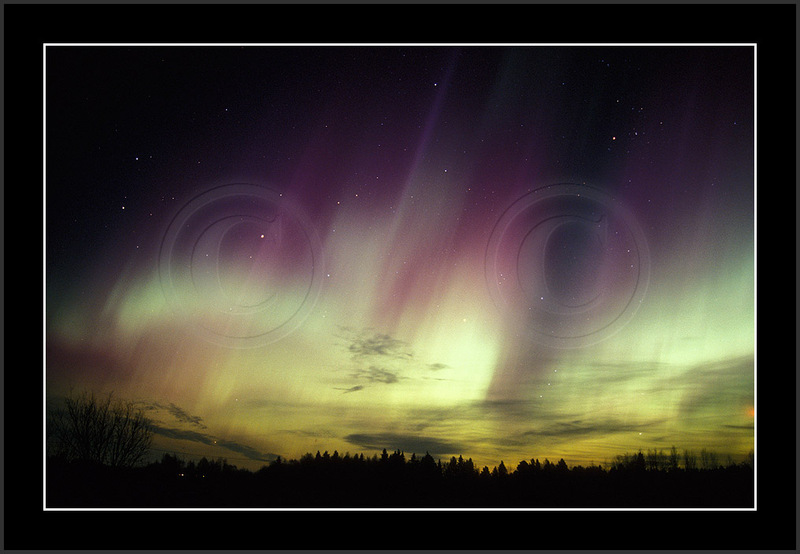 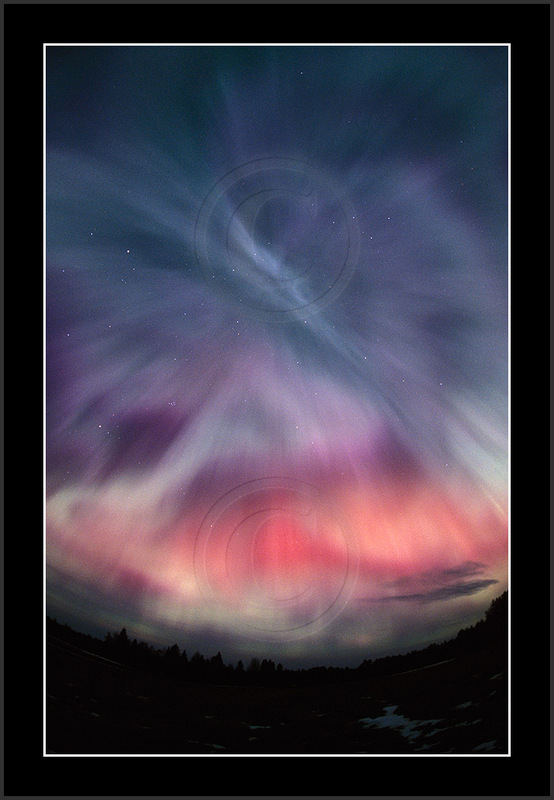 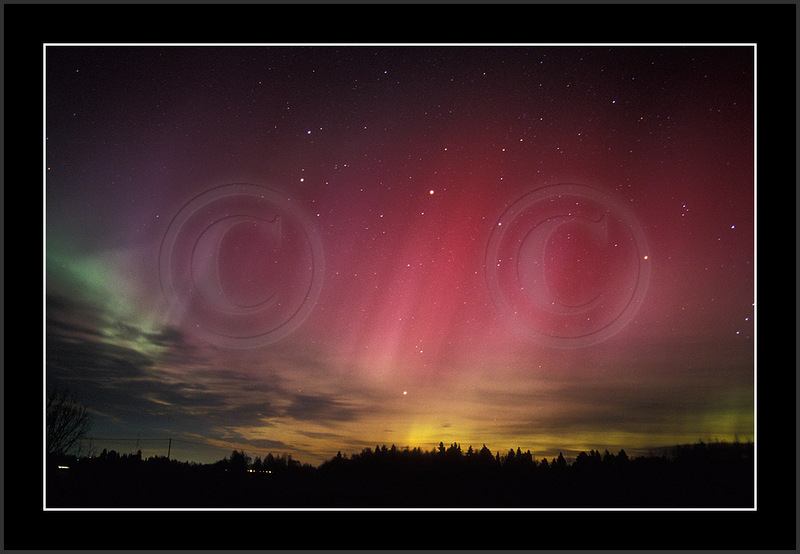 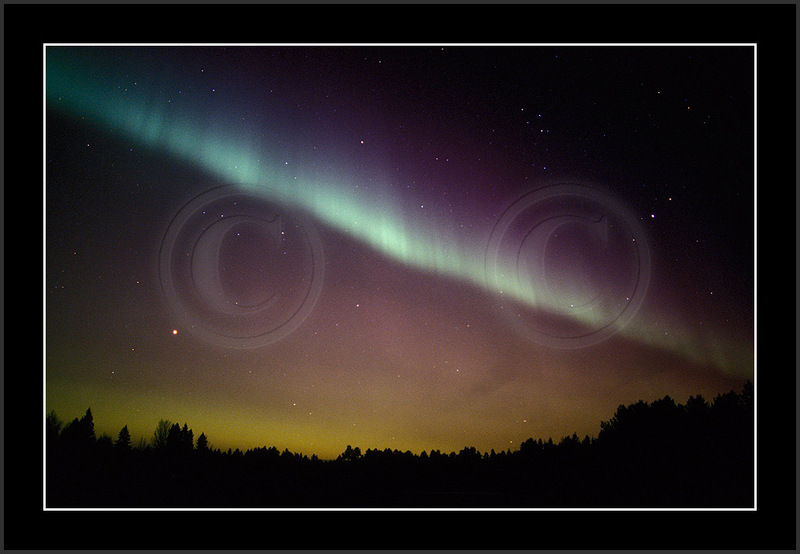 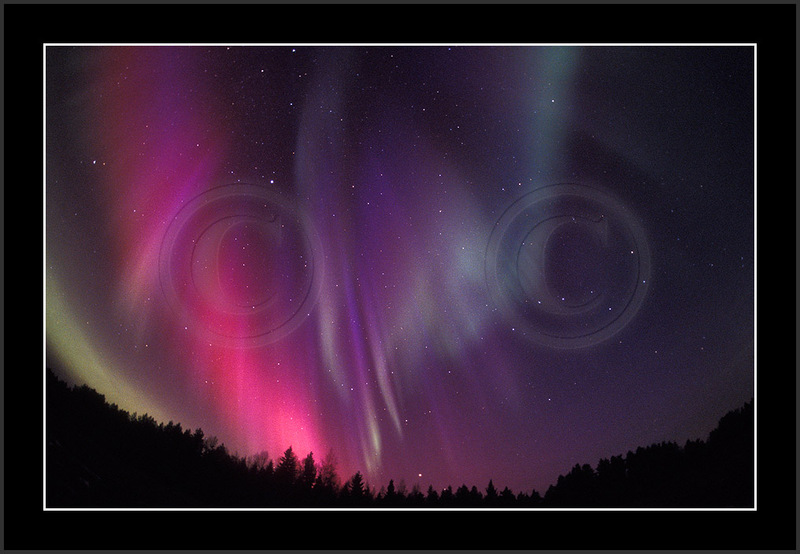 Auroras were occasionally too bright for me to be brave enough to make exposures short enough. 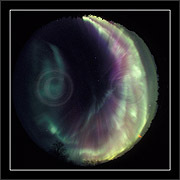 One can reveal the very short exposure times by noticing missing stars. 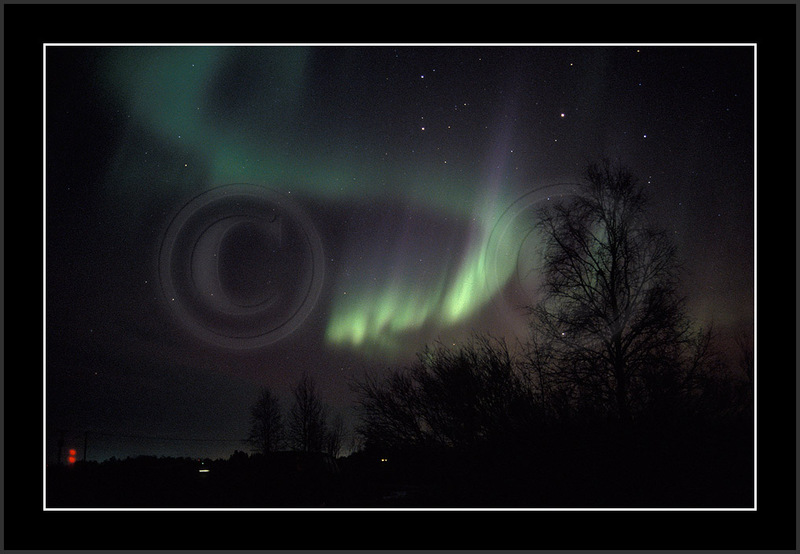 Many aurora forms here seem to be doubled; i.e. 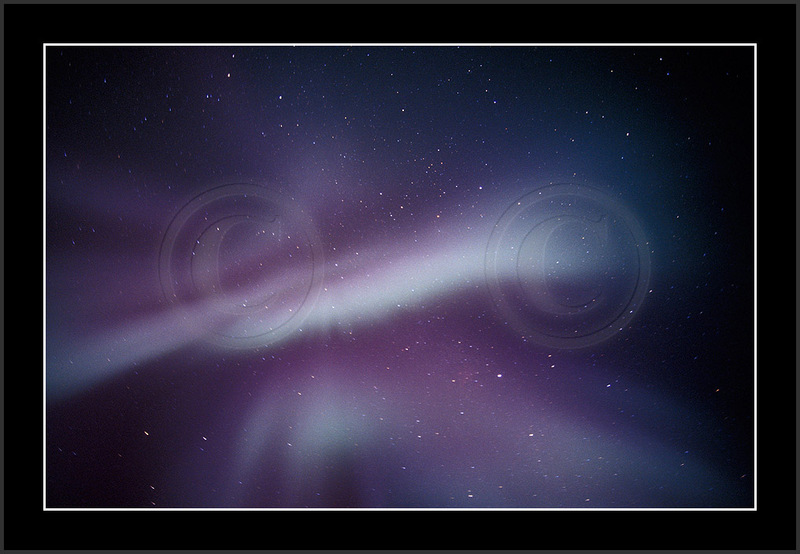 appear in two separate images. This is due to the fact that I used two cameras to shoot and they both recorded the same sky (with different lenses, however). 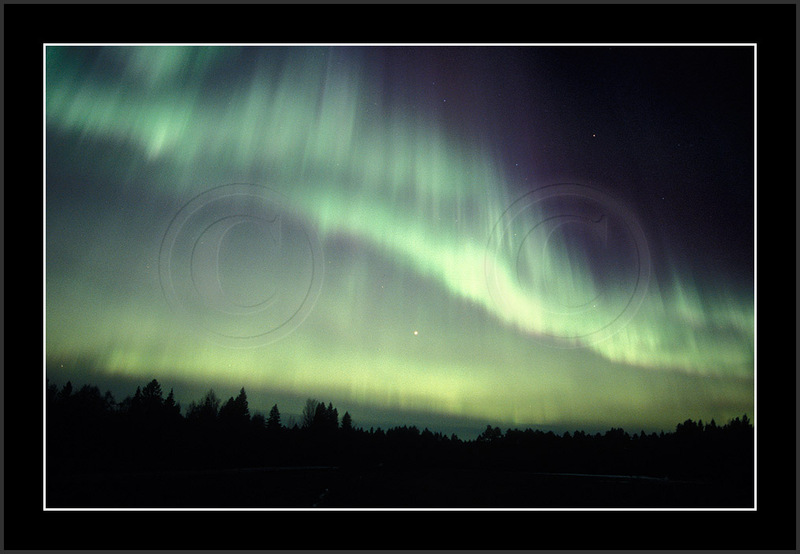 Images 'til re39631 are taken with Fuji Provia 400 pushed to 1600 ASA while the rest is taken with Kodak Ektachrome EB100 pushed to 400ASA. 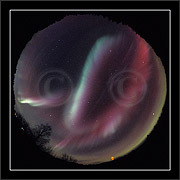 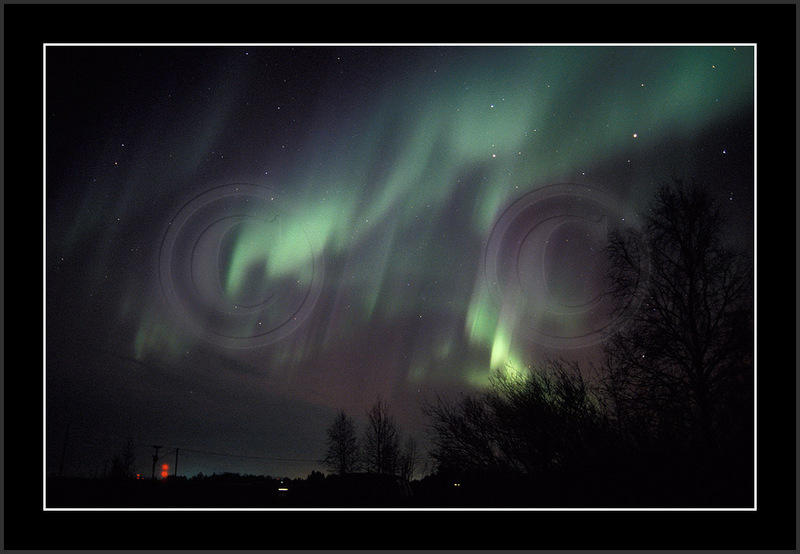 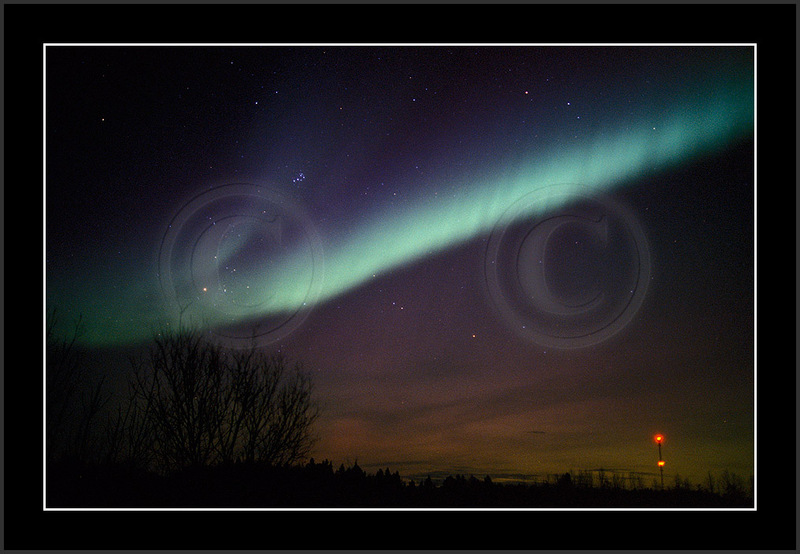 The next night 30/31 Oct and a new X10-storm were spoiled by clouds all over Scandinavia. For a while I had a chance to monitor the sky through thin clouds and definitely it was evident that great powers were again on. Aurora veil covered zenith and much of the southern sky, but due to clouds I could not get any spectacular views through this very short lived and cloudy observing window around 20UT. 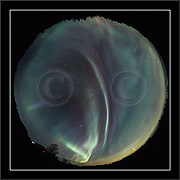 The last two images on this page are from this moment; a lot of image processing in these recordings.